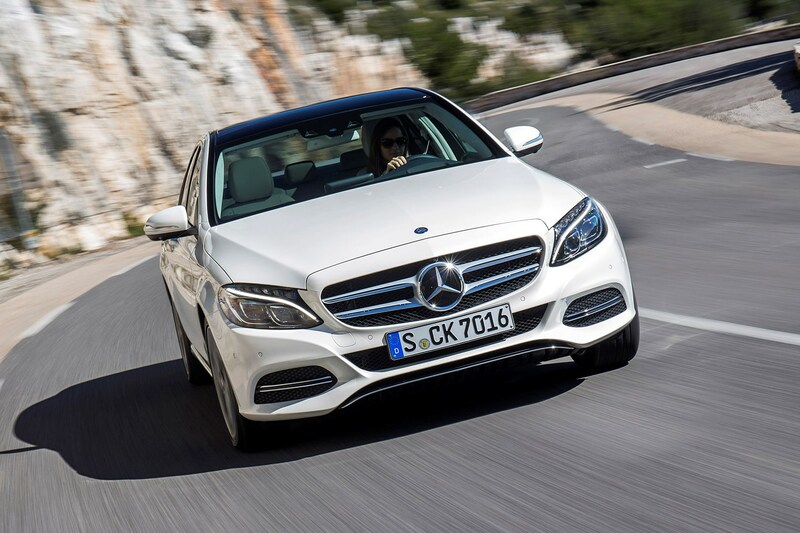 The Mercedes-Benz C-Class Saloon has been on sale since 2014, and for 2018, it received a facelift, with its maker saying that 6,500 components have been changed or modified in the process. 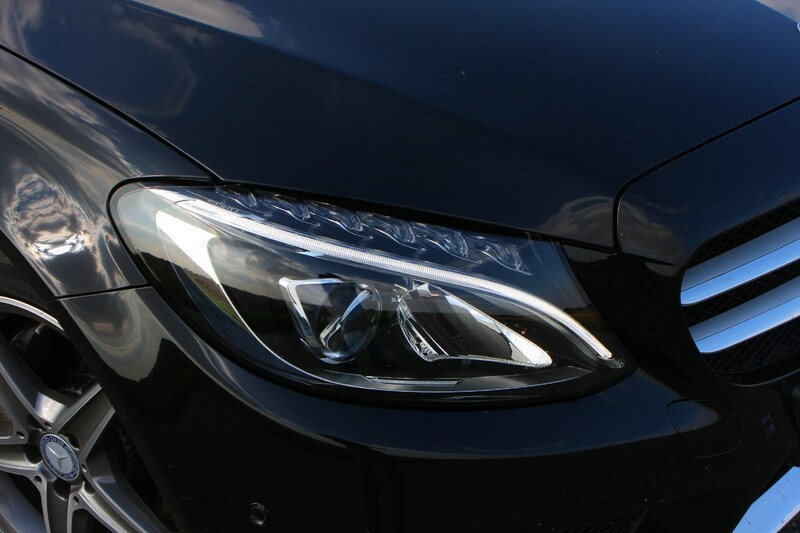 Not that you’d think it by looking at it – this has been a very conservative update with the main visual differences being limited to paint colour and lights. 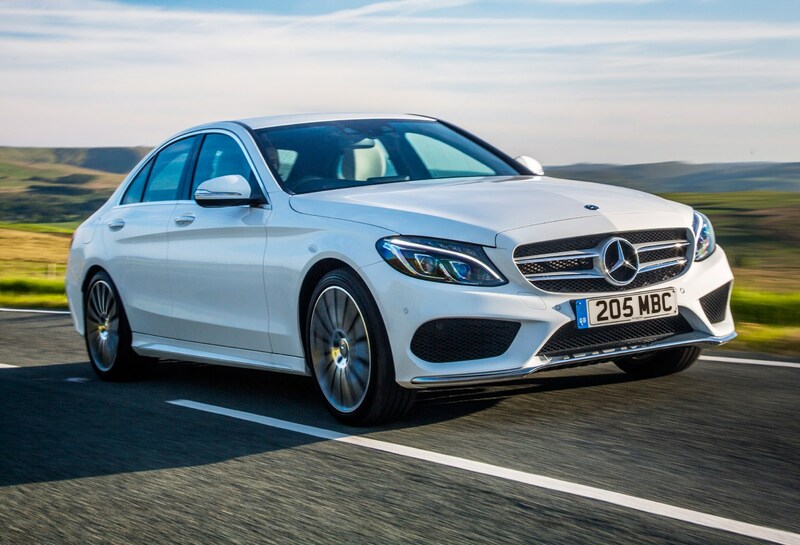 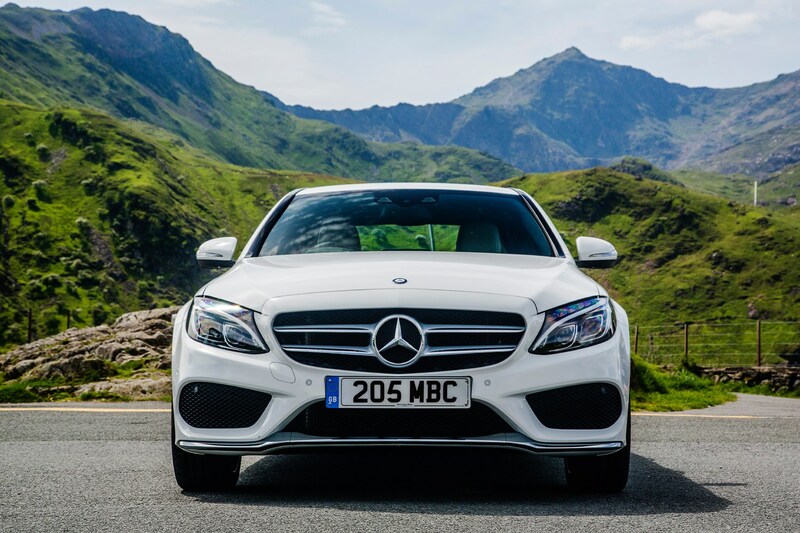 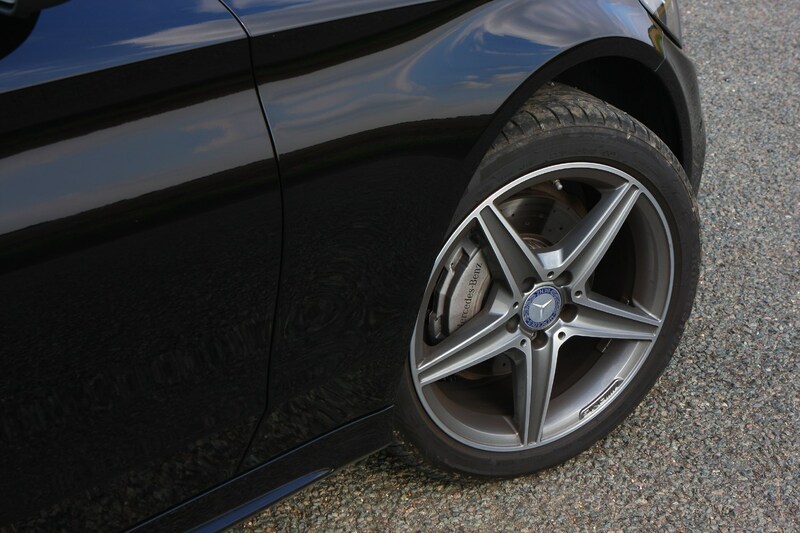 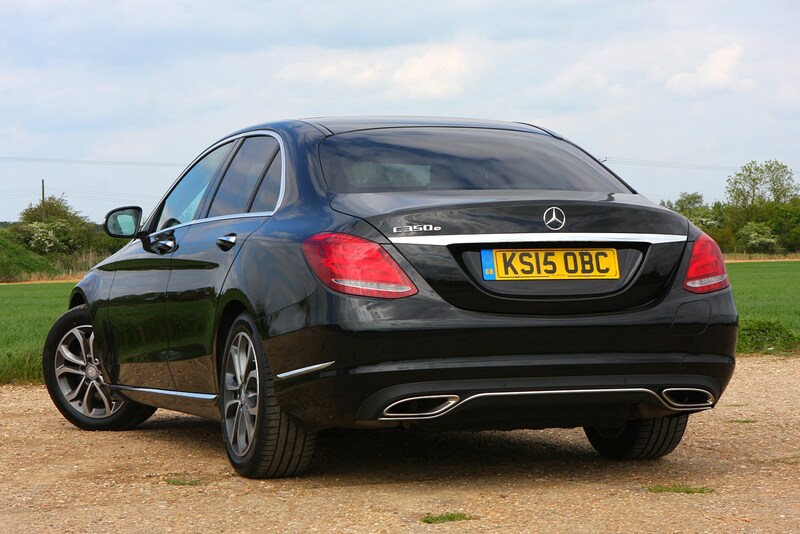 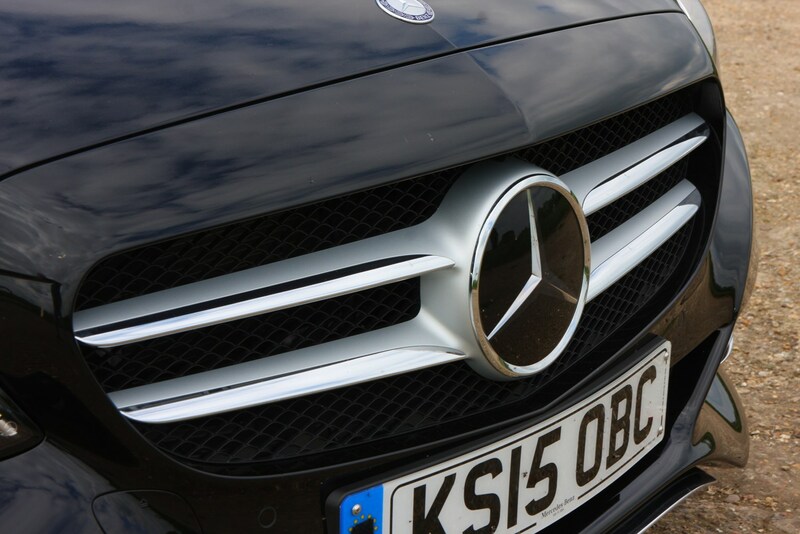 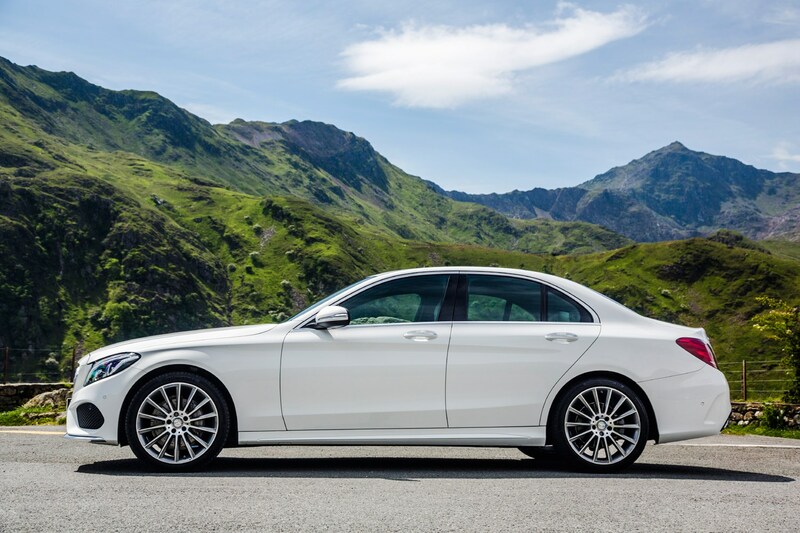 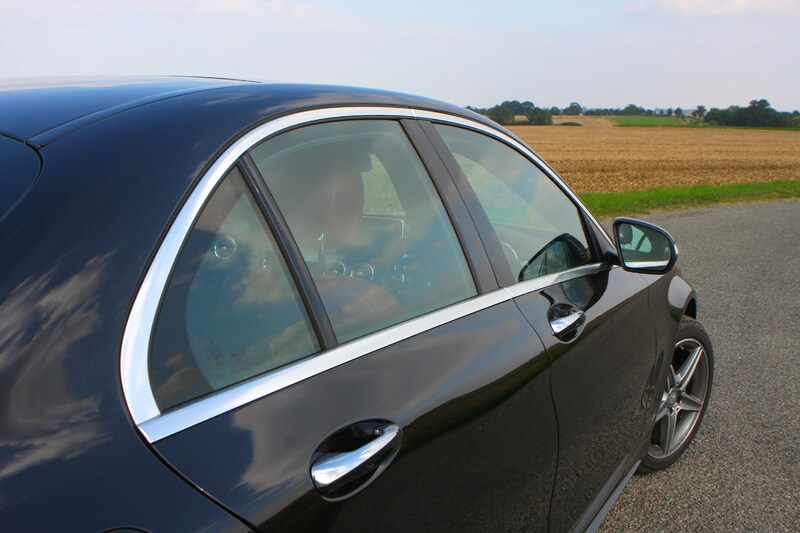 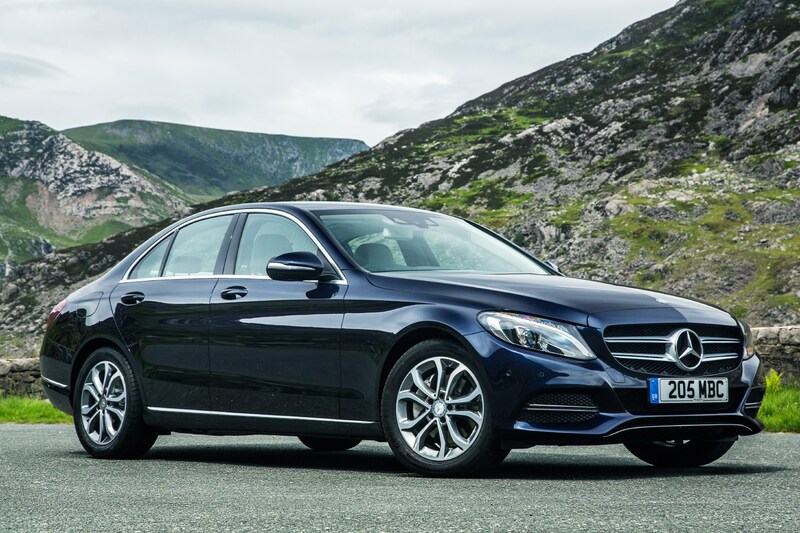 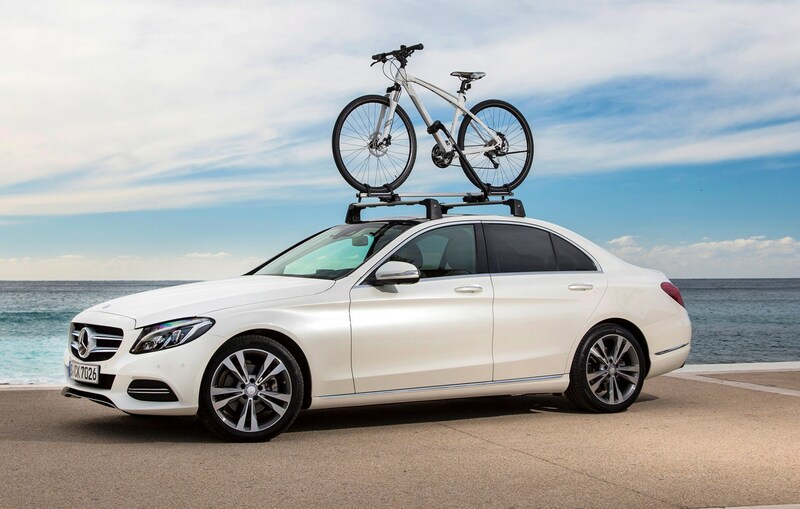 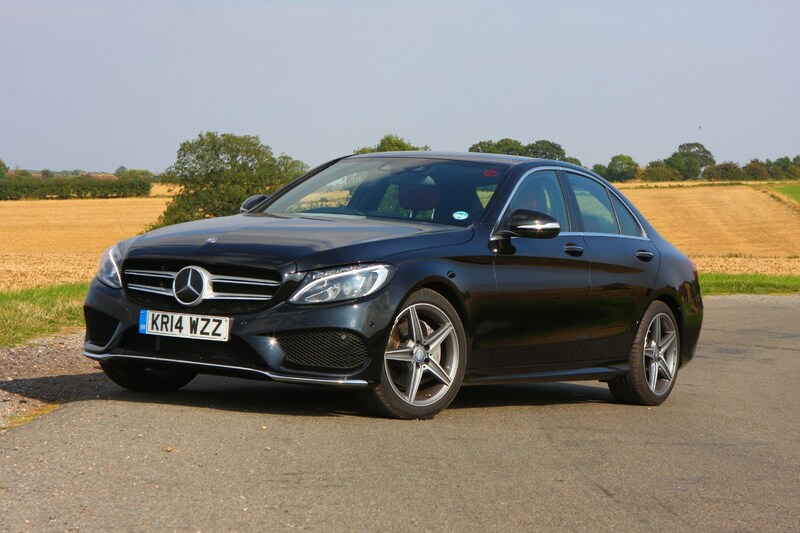 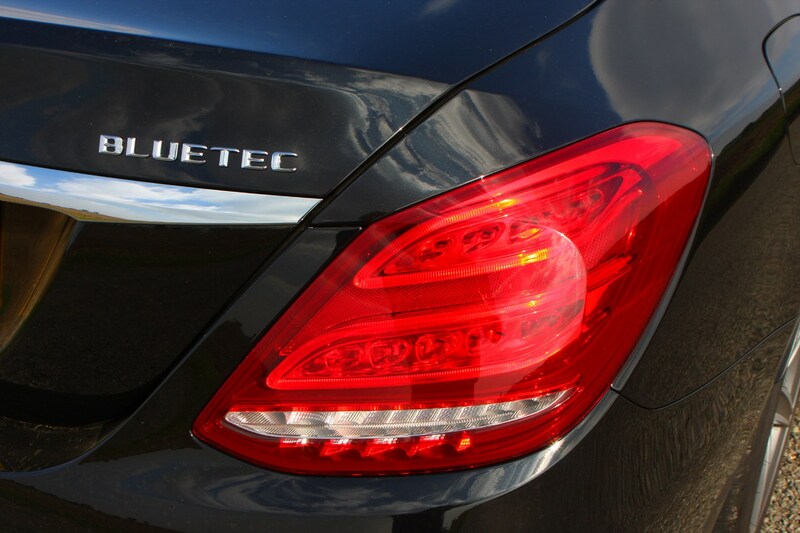 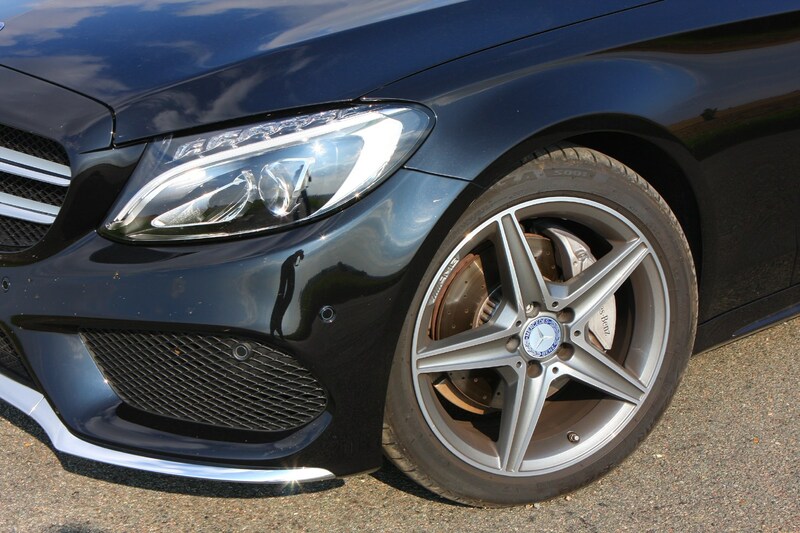 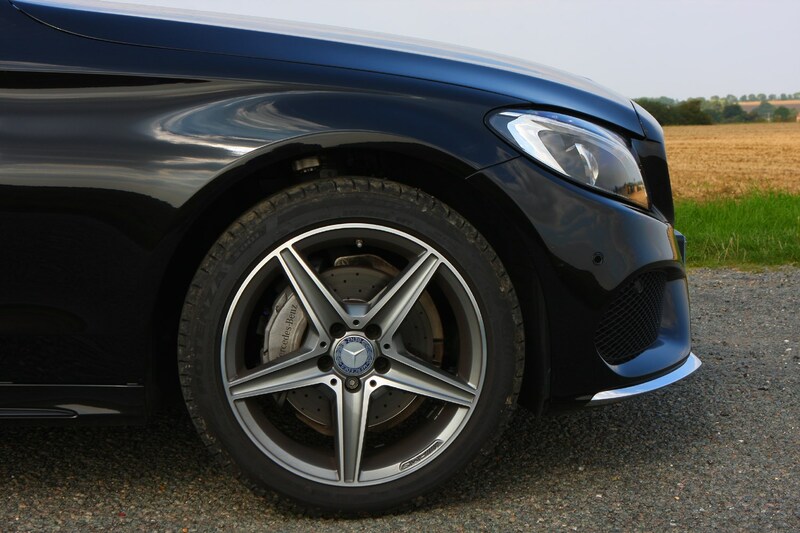 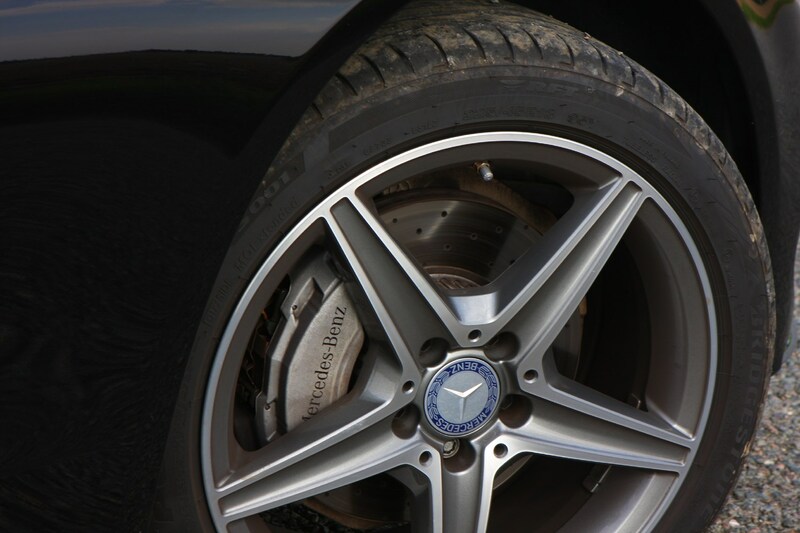 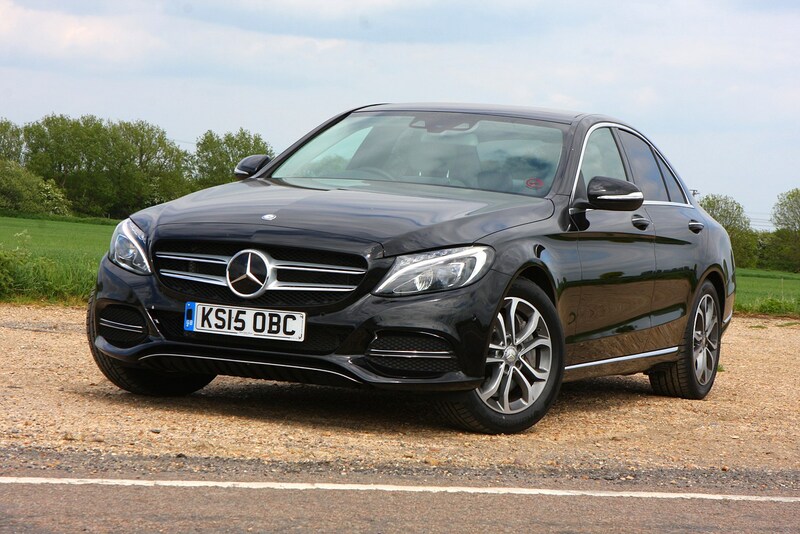 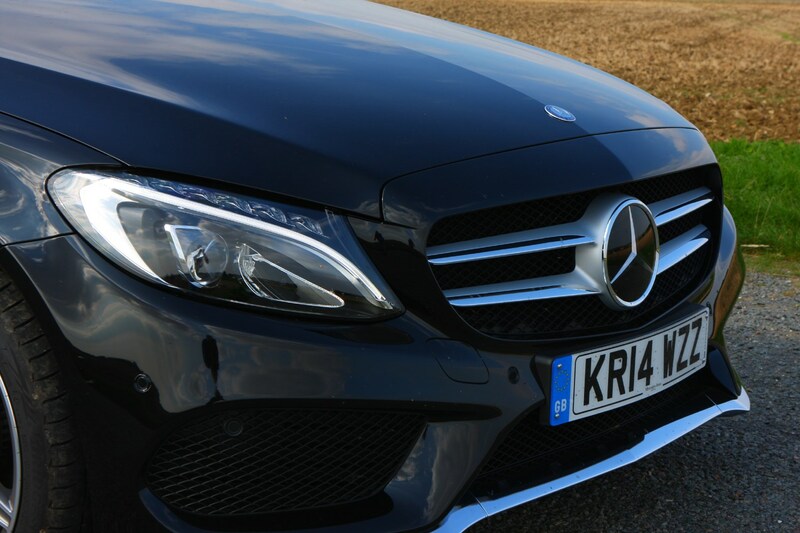 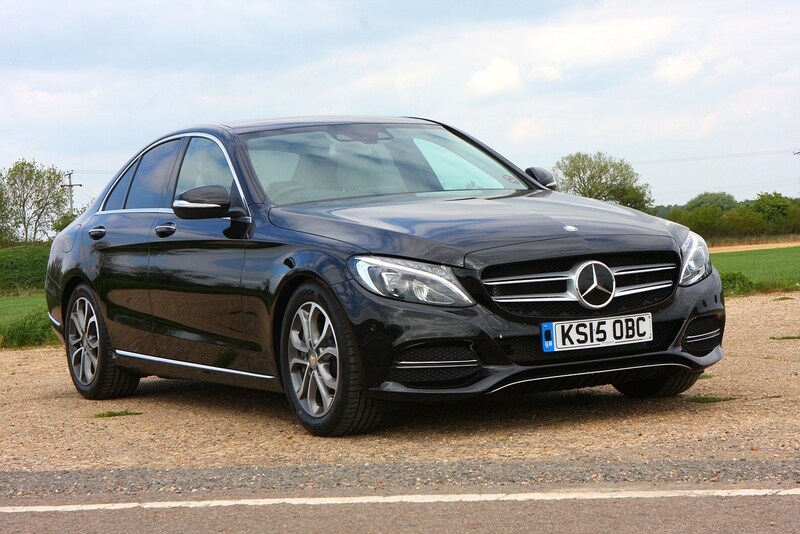 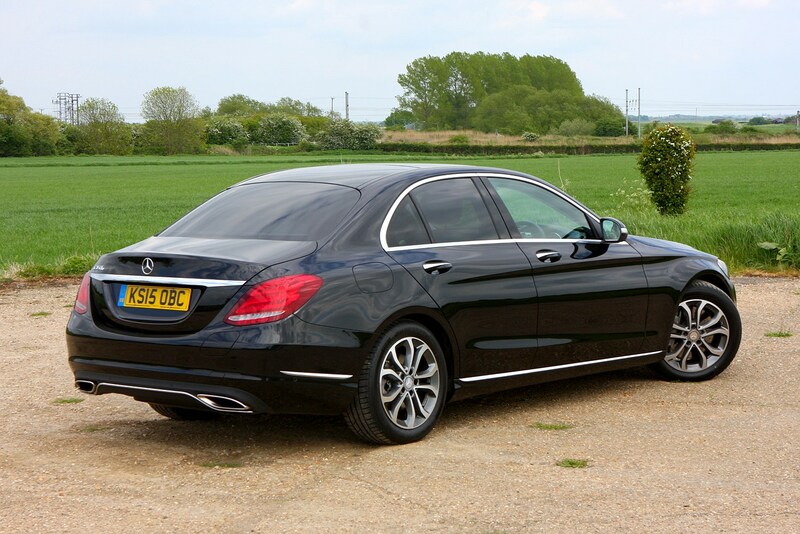 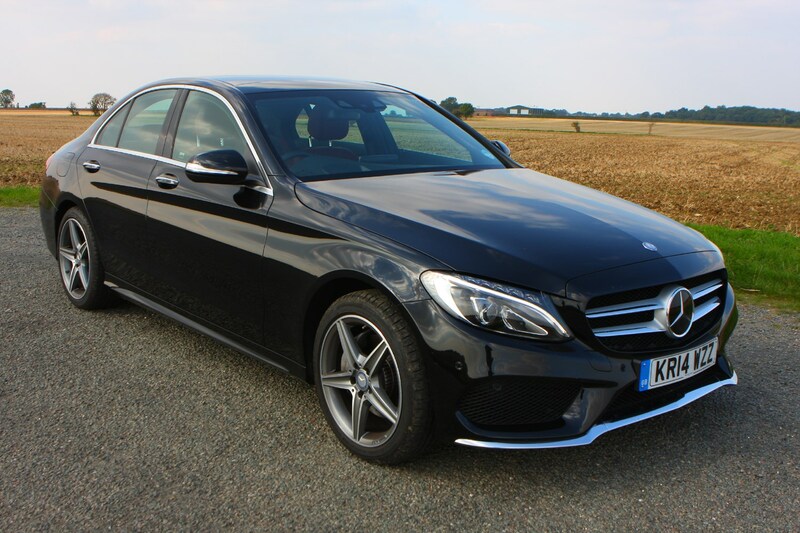 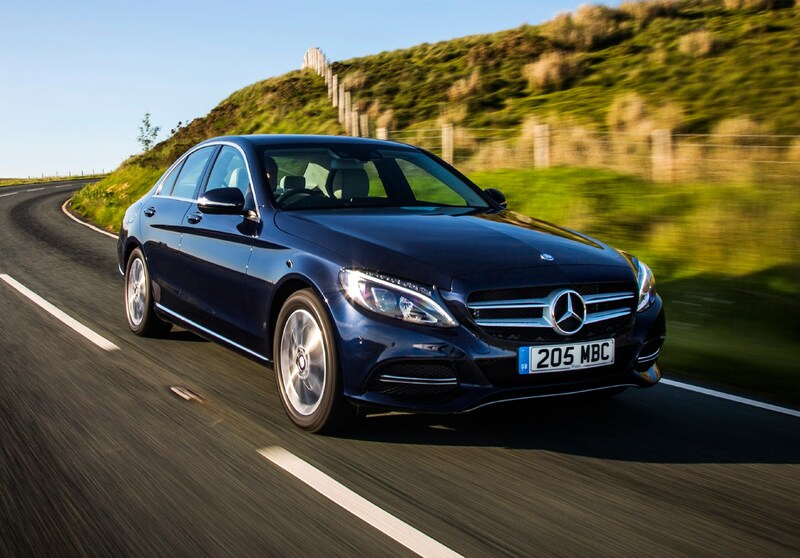 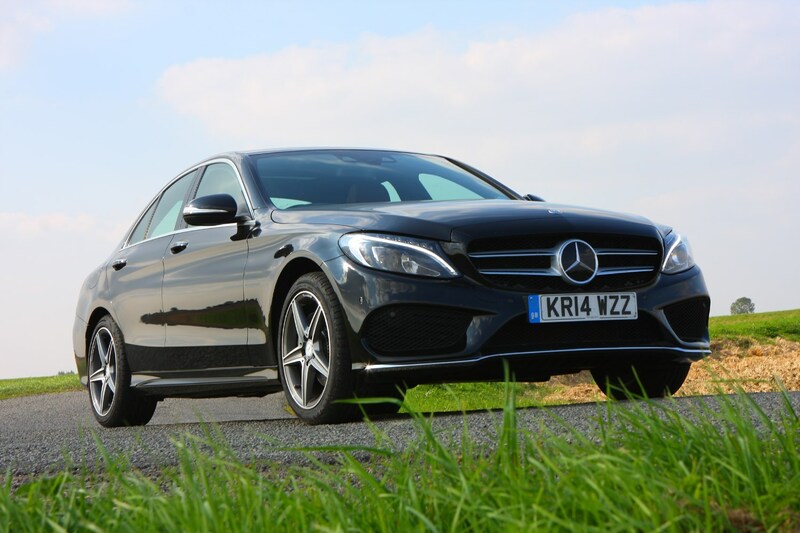 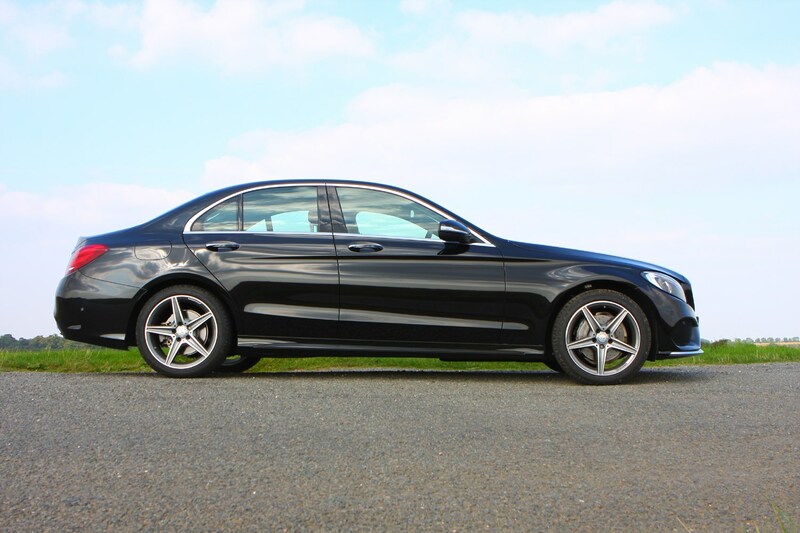 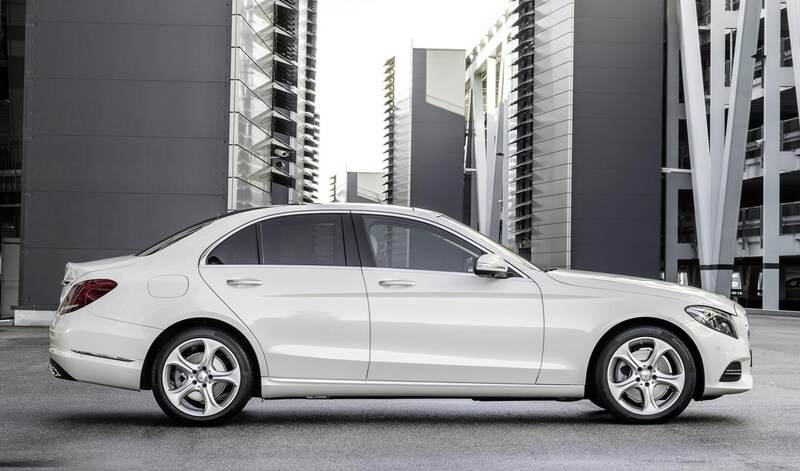 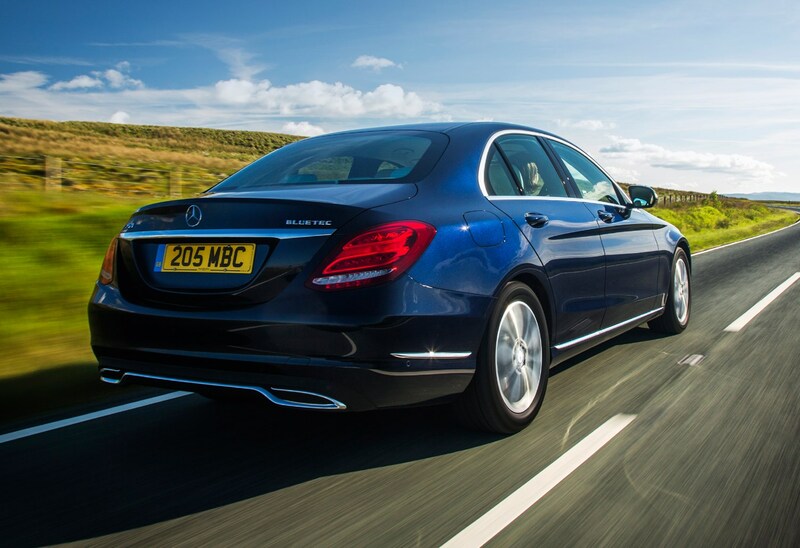 The Mercedes-Benz C-Class is a popular sight on UK roads, and a regular visitor into the UK top 10 bestsellers list. 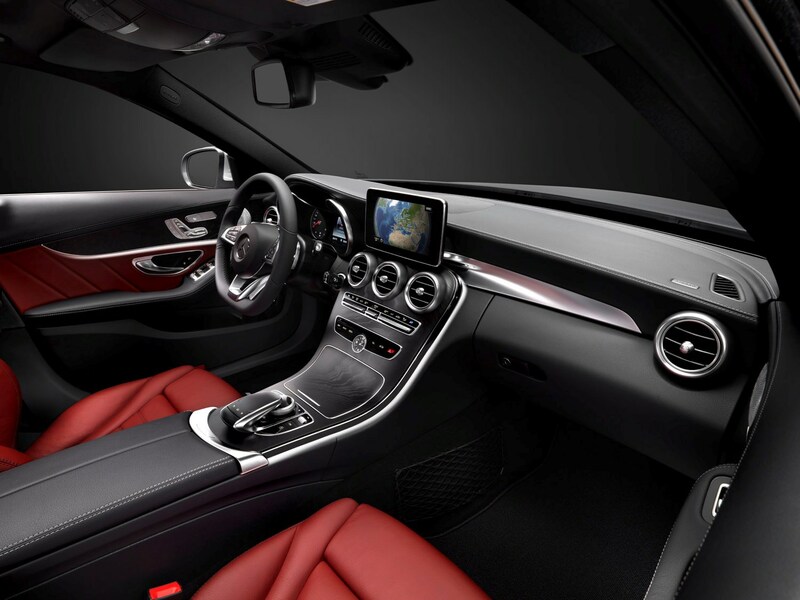 With good reason – it looks good, has cutting-edge safety kit, a luxurious interior and the draw of the three-pointed star placed on the bonnet. 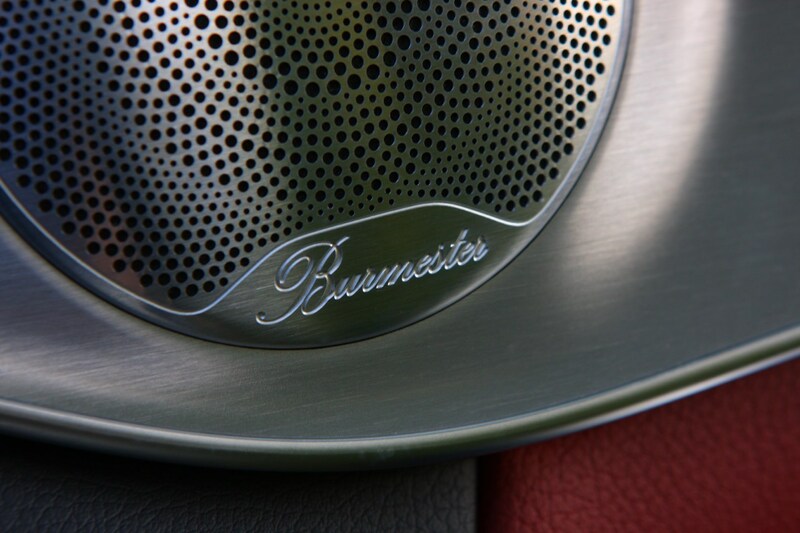 Does that mean it's worth your attention? 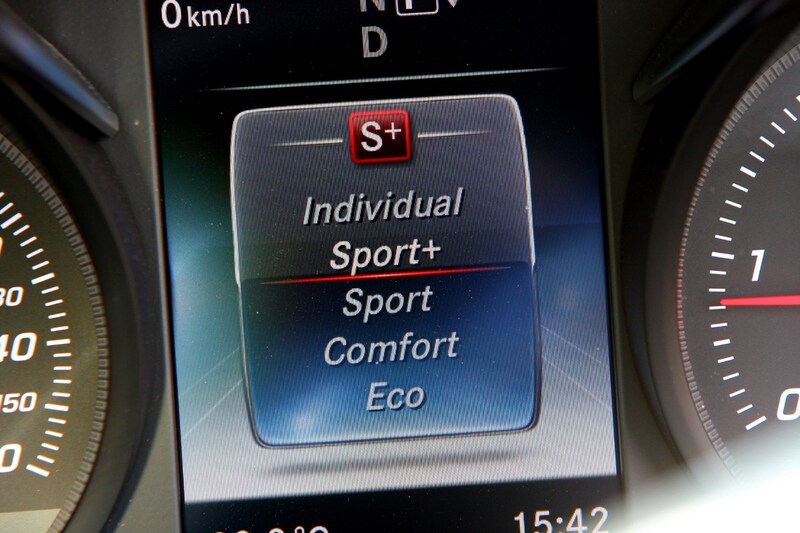 In terms of the technology that underpins it, absolutely. 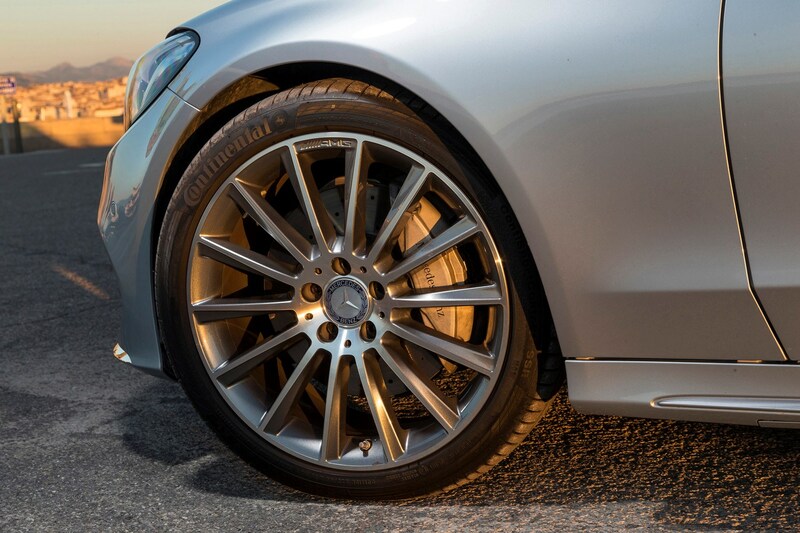 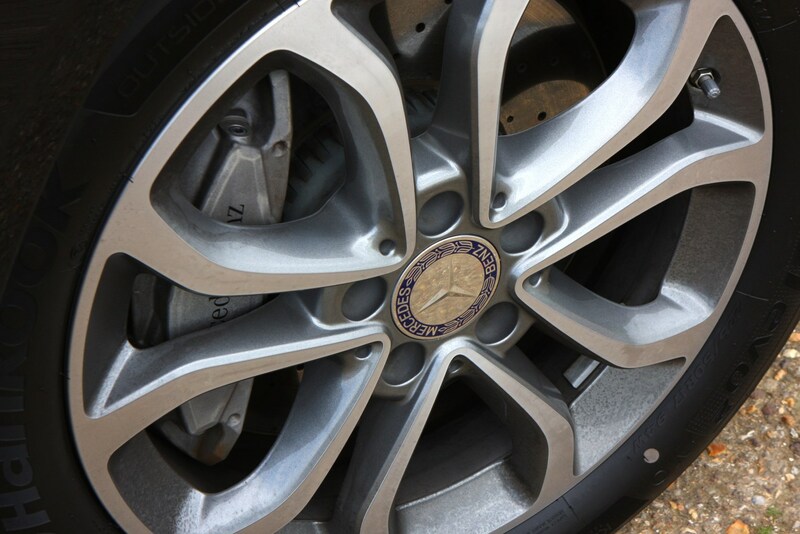 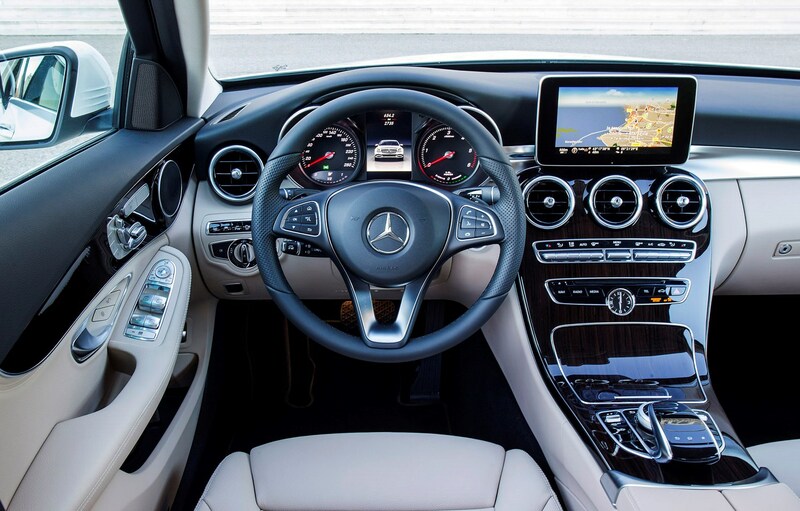 It's safe and fully equipped with some of the technology you’ll find on the company flagship, the impressive Mercedes-Benz S-Class. 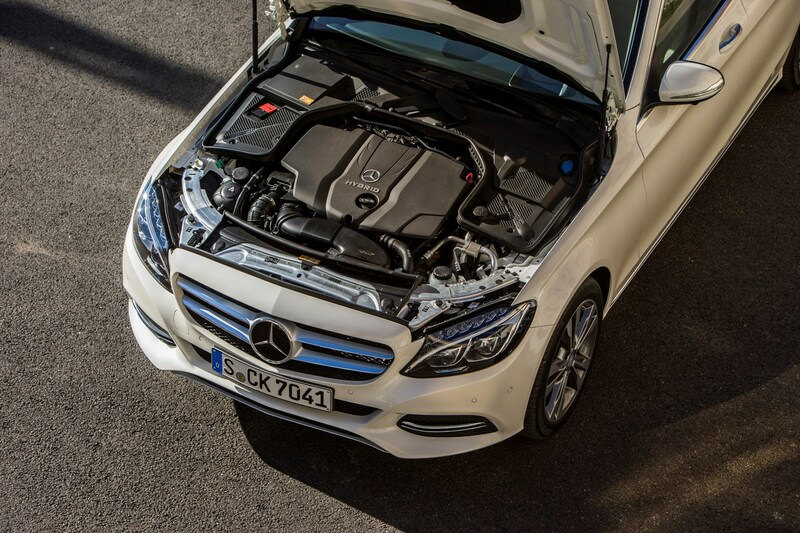 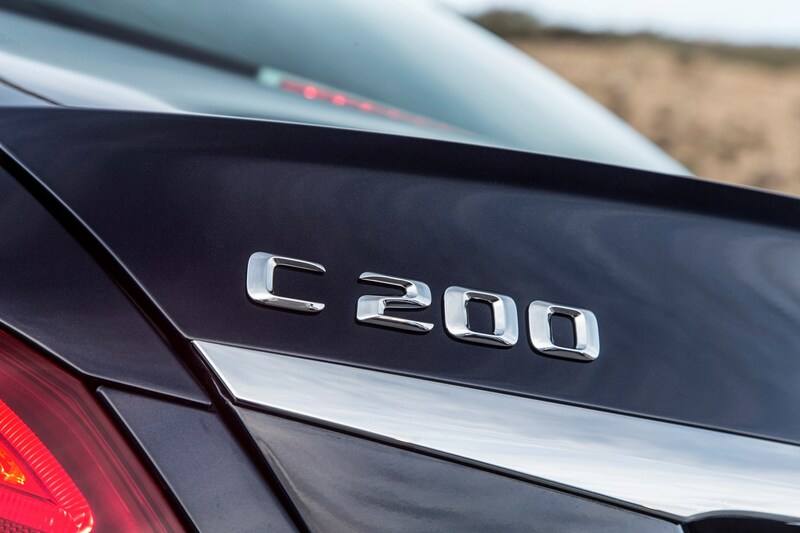 There’s also a new engine for the C 200 entry-level petrol model, which now features twin-turbocharging and innovative power-boosting technology. 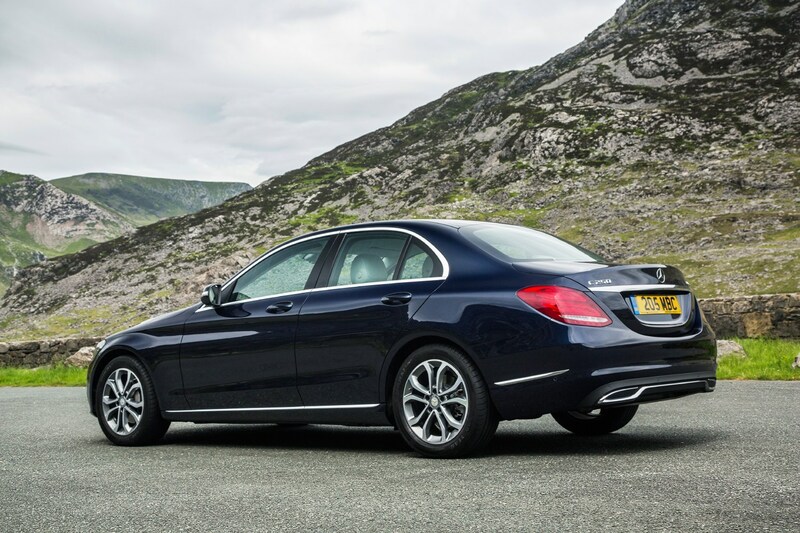 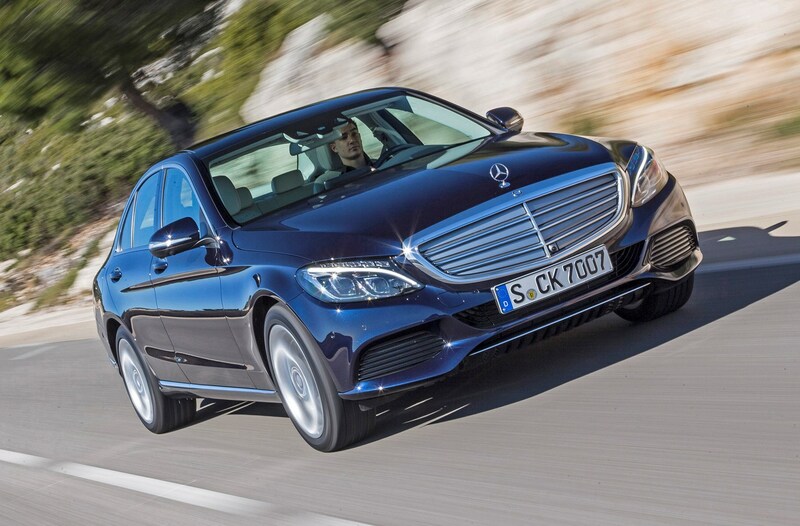 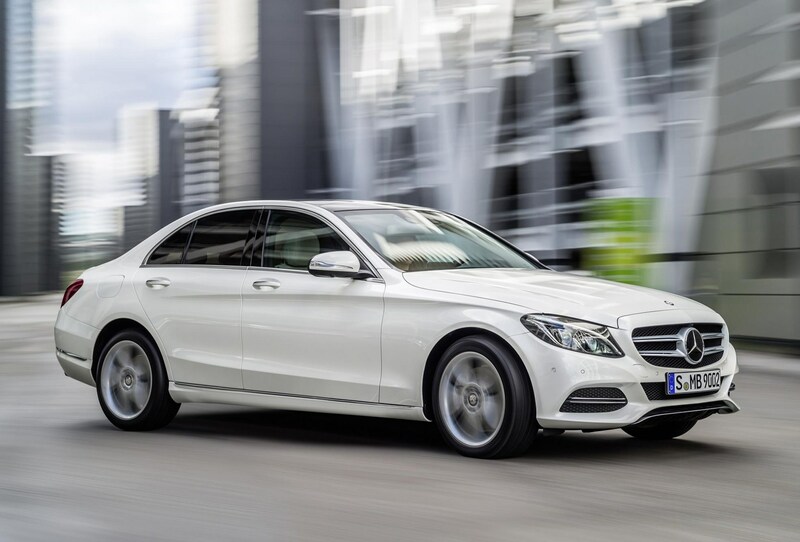 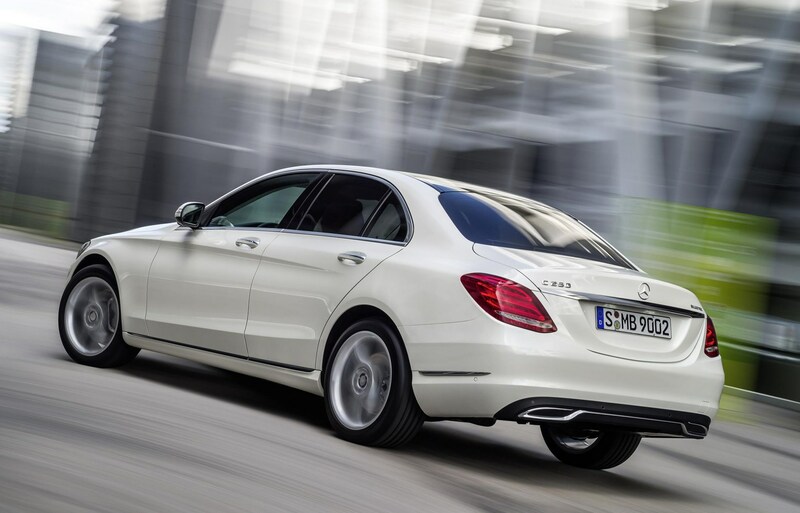 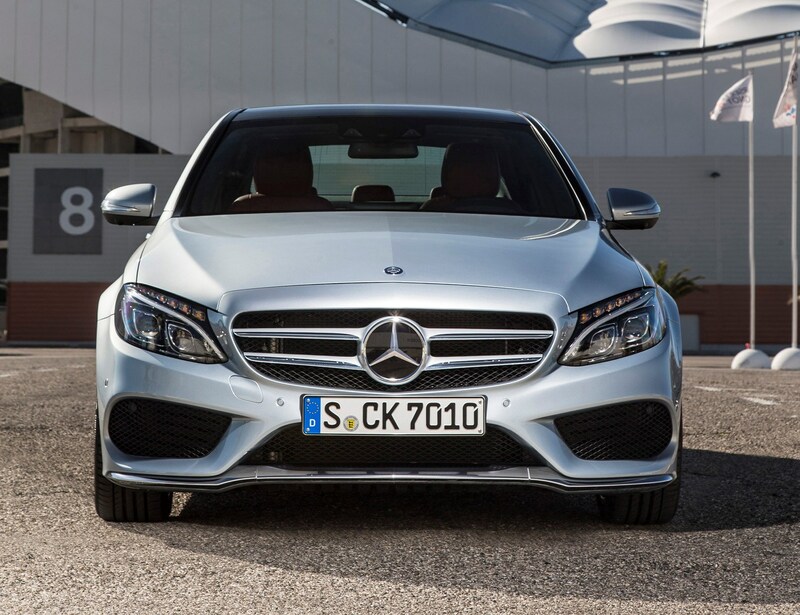 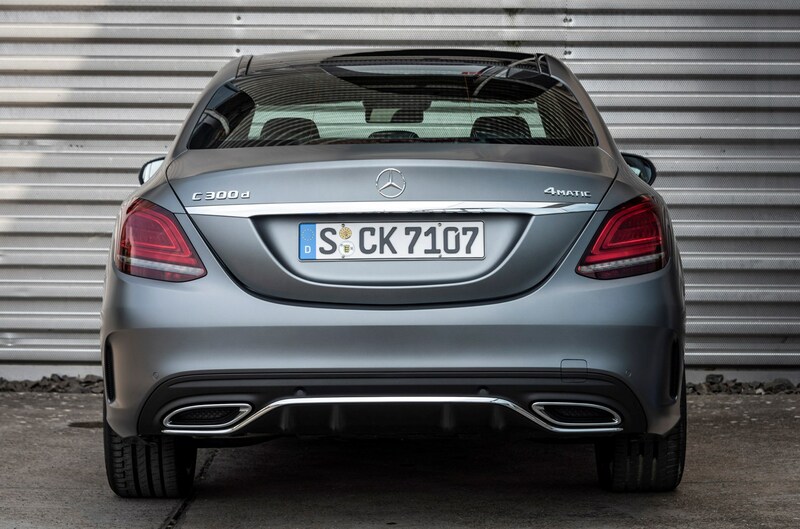 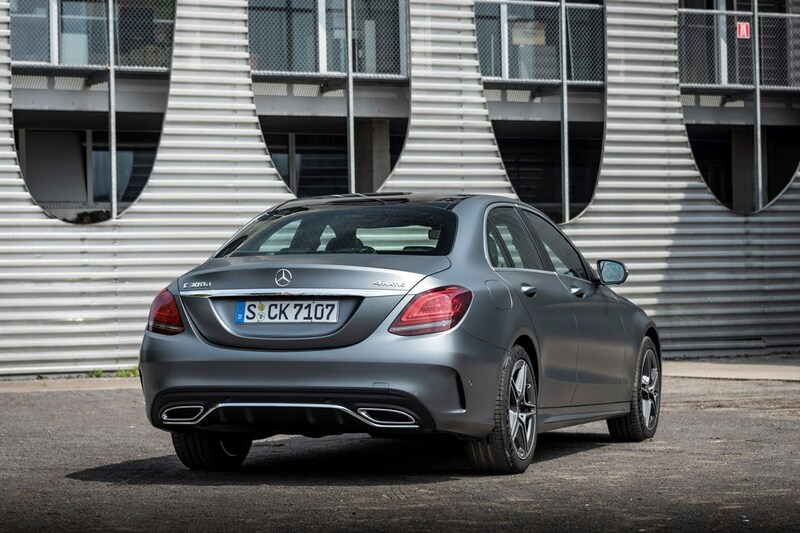 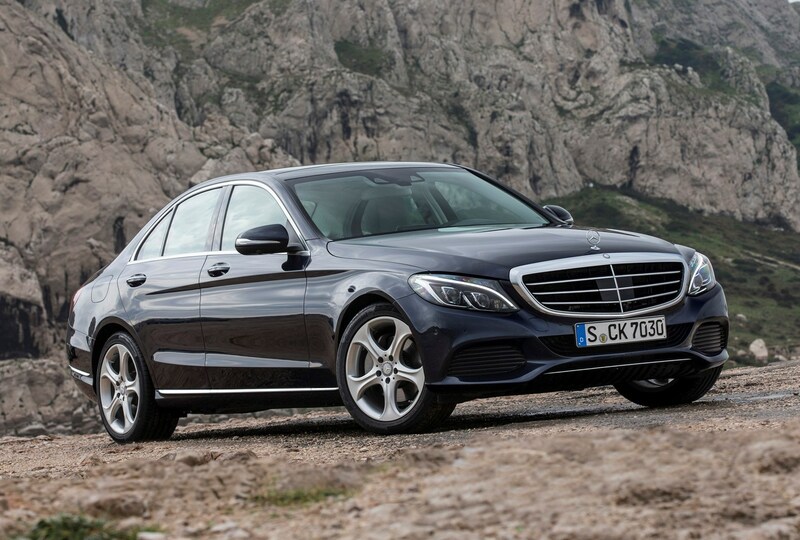 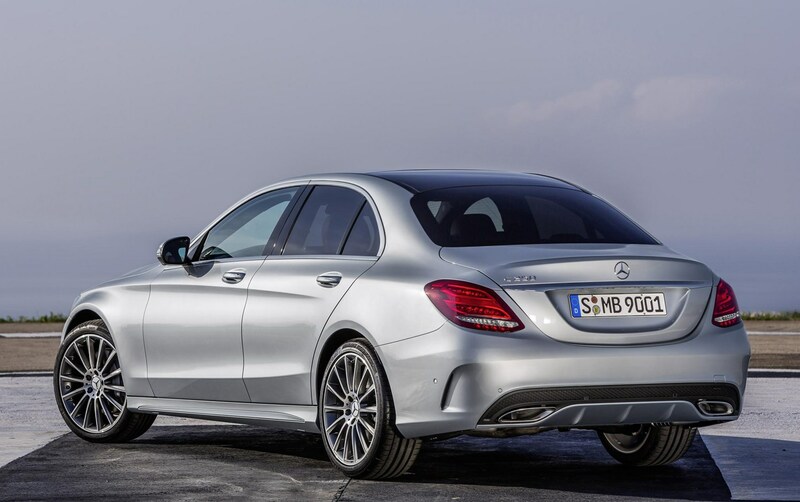 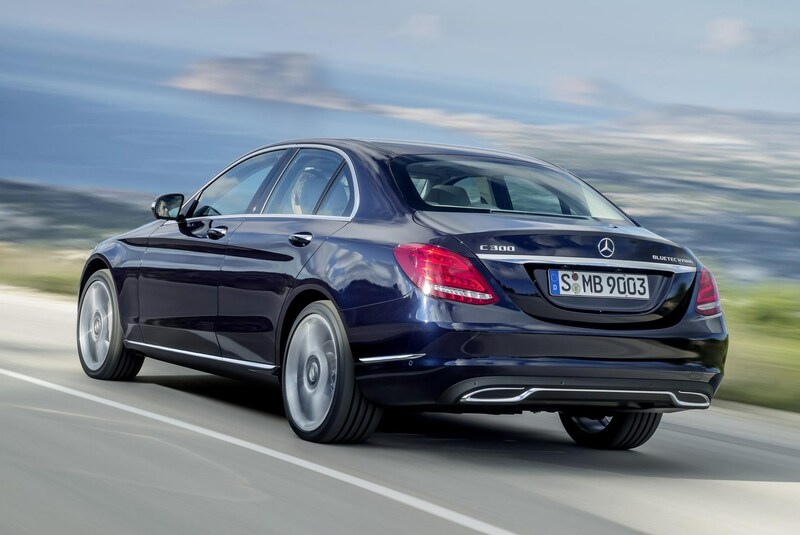 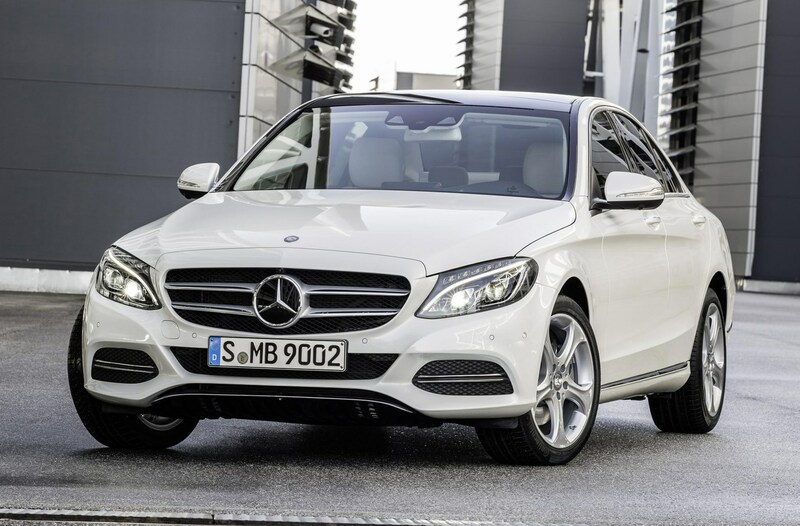 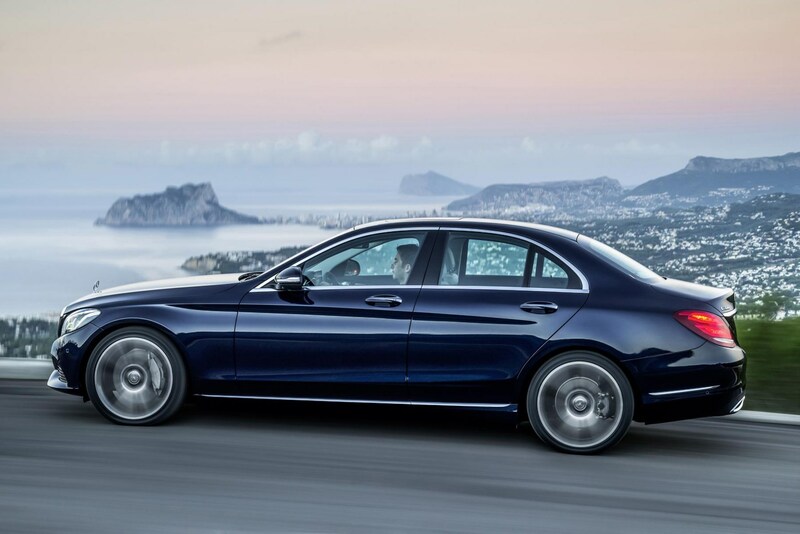 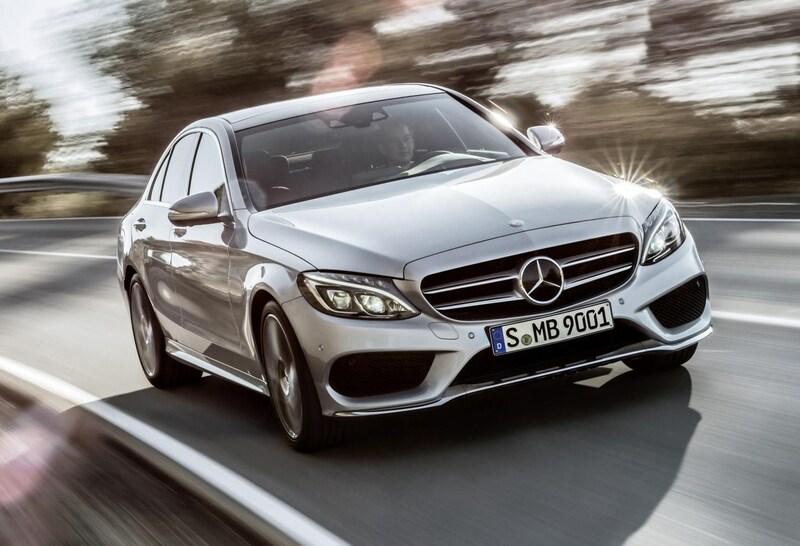 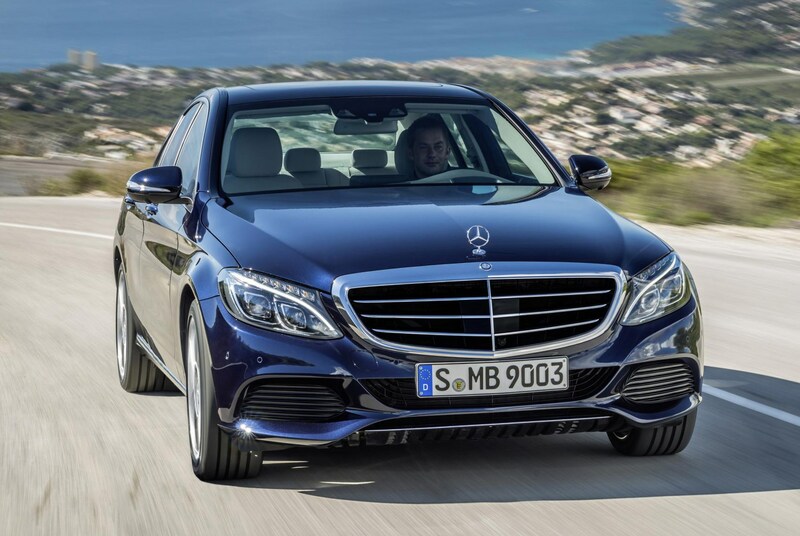 The Mercedes-Benz C-Class is competing in a very tough market sector. 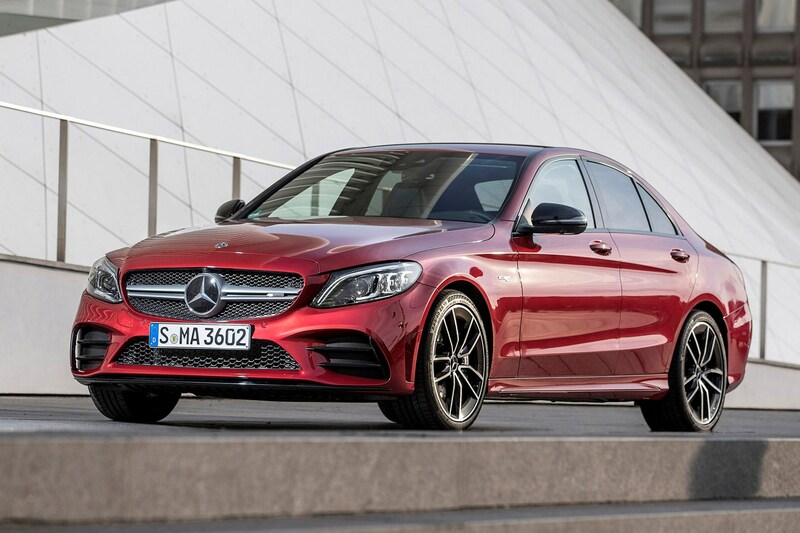 It's a rival to the popular BMW 3 Series and Audi A4 – as well as the less obviously default choices, such as the Jaguar XE, Alfa Romeo Giulia and Lexus IS. 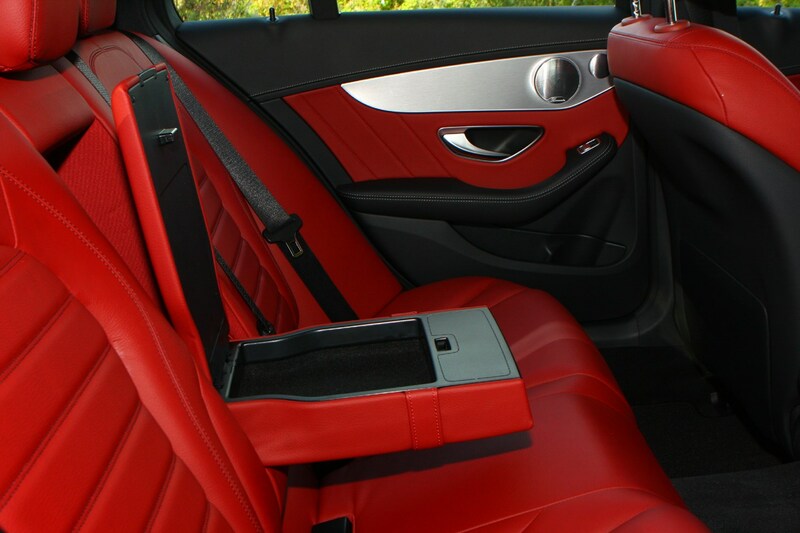 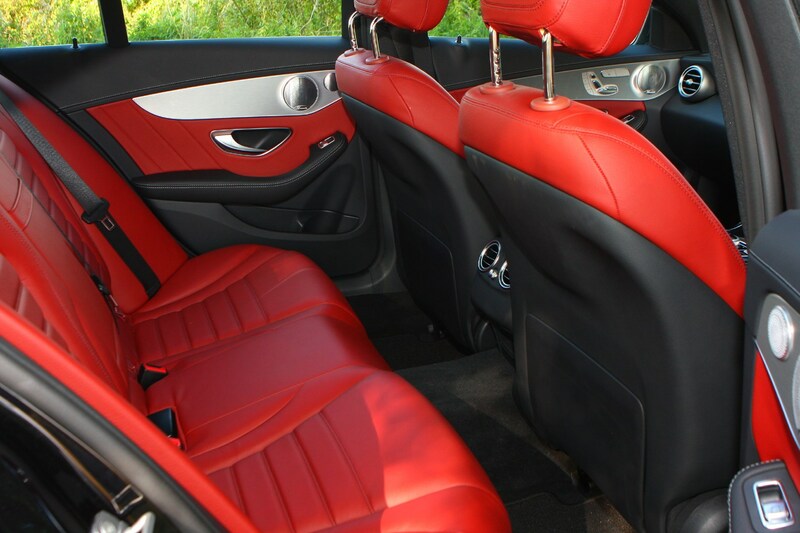 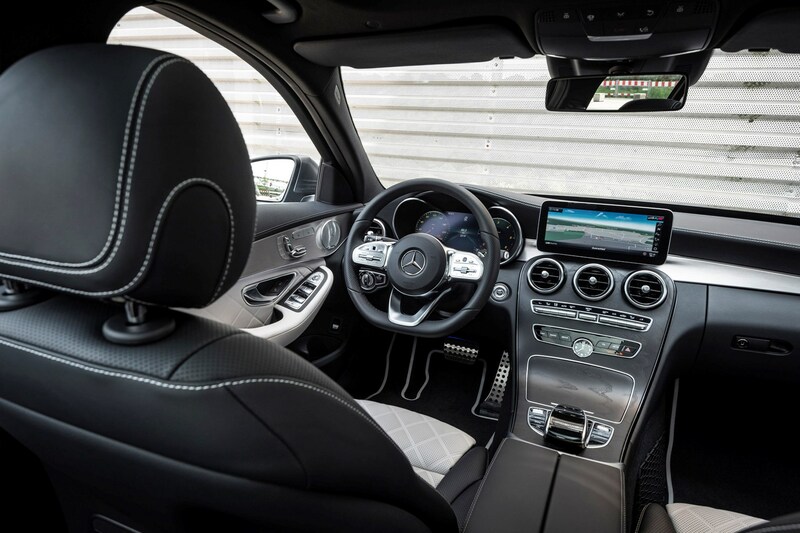 The C-Class is a comfortable and appealing alternative to its competitors, even if its interior quality lags behind the Audi's, despite its posh look. 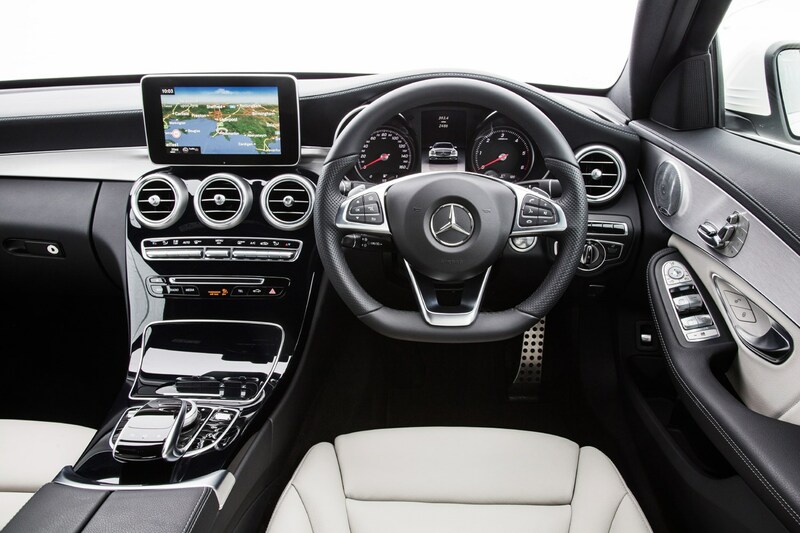 It’s not lacking in tech, though, with an optional 12.3-inch digital display for the driver now added, which complements the larger centrally-mounted 10.0-inch infotainment screen. 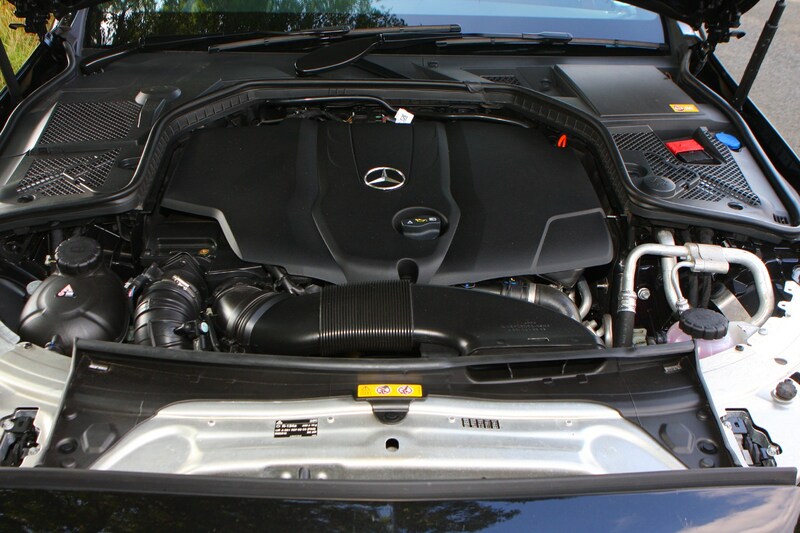 It’s as cheap to run as the best, too, thanks to a range of frugal engines. 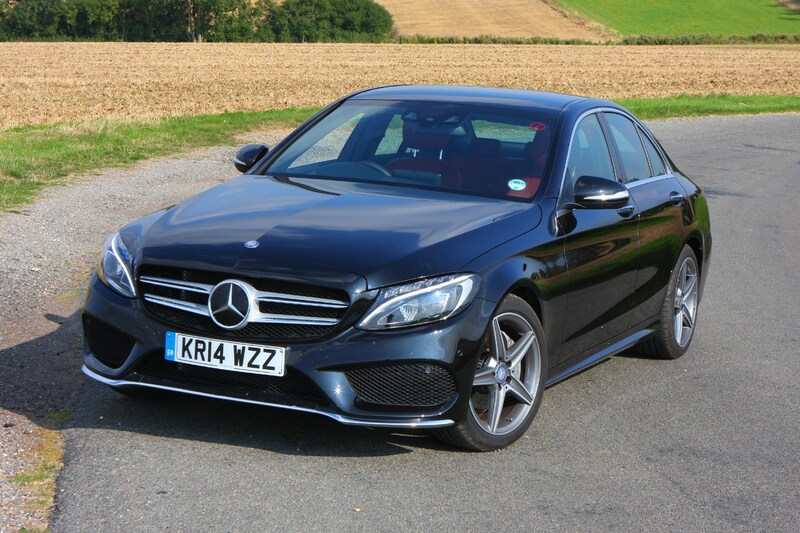 But, if you do want something with a bit more poke, Mercedes has plenty of other models in the C-Class range to pick from. 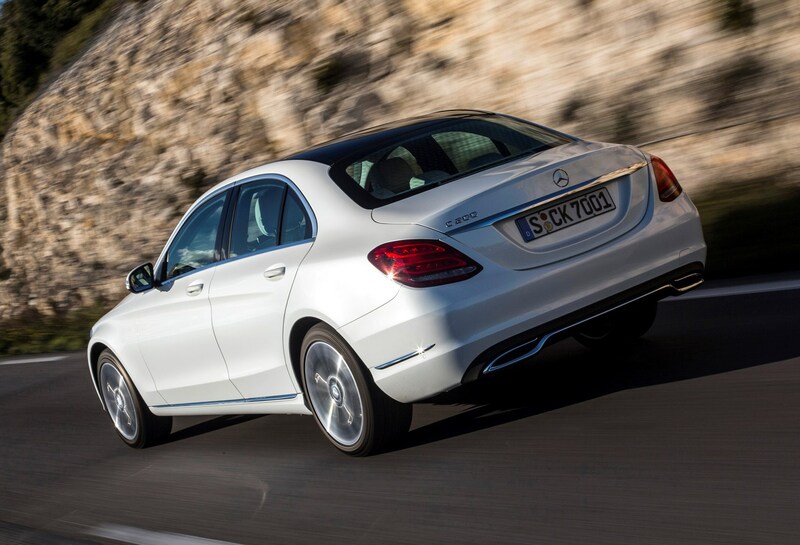 The C-Class does have its faults, though. 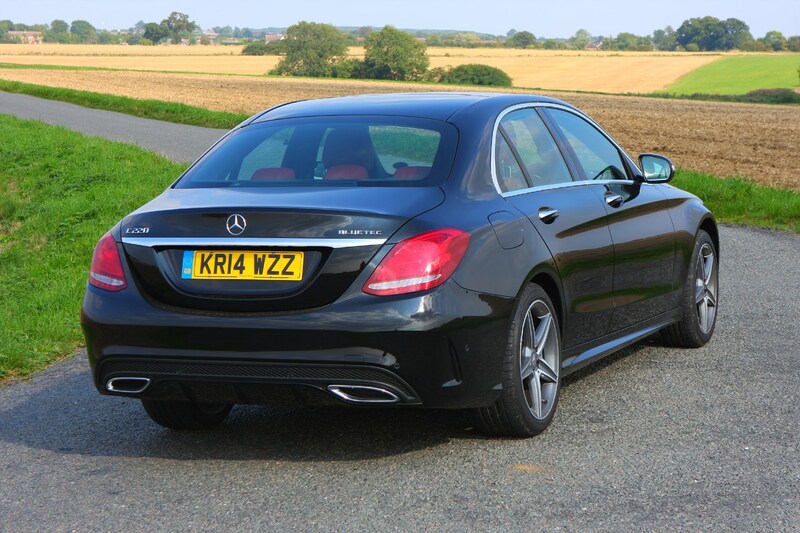 The poor manual gearbox and steering that’s lacking in feel detract from a pure sporty driving experience. 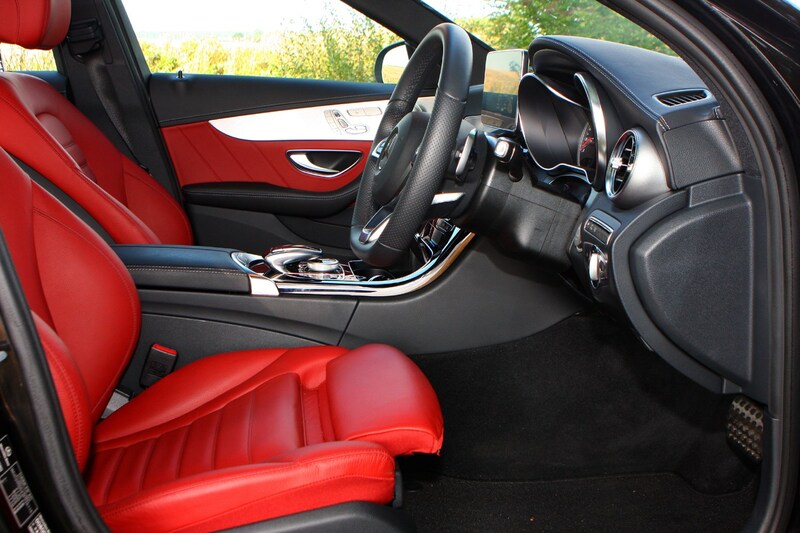 If you want comfort in your compact saloon, come here – if it's driver involvement you crave, head in Jaguar, Alfa Romeo or BMW's direction. 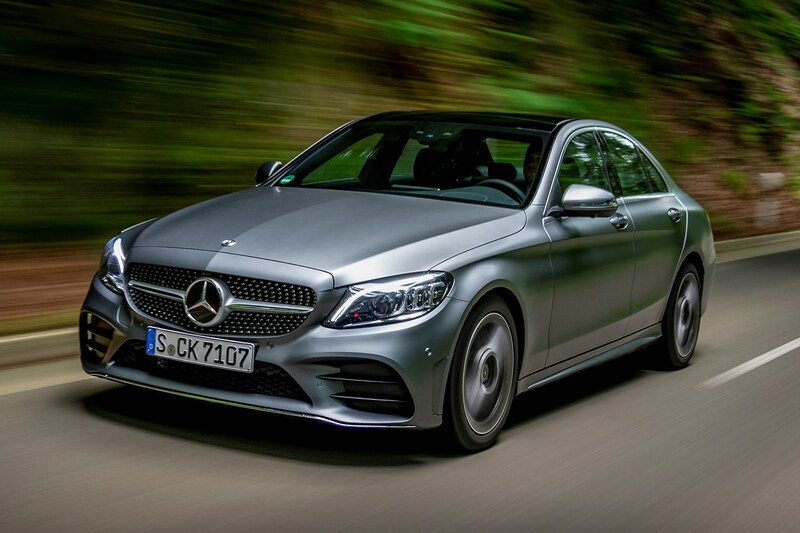 What is the best Mercedes C-Class for you? 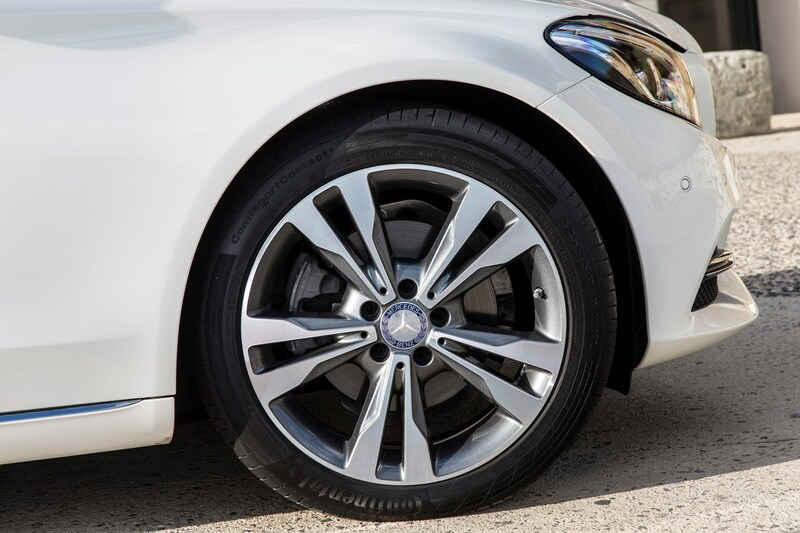 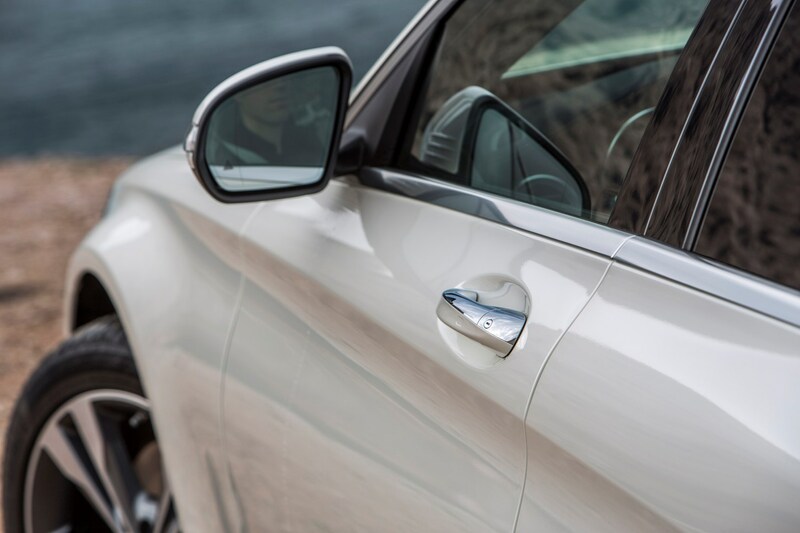 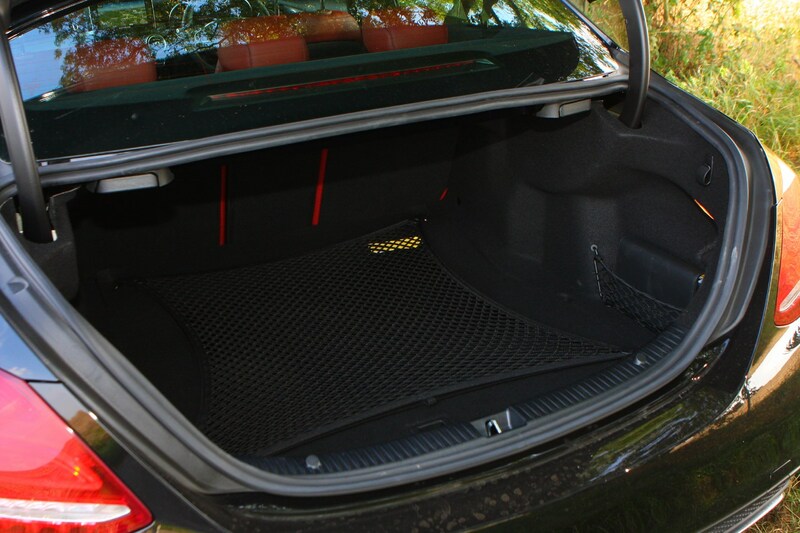 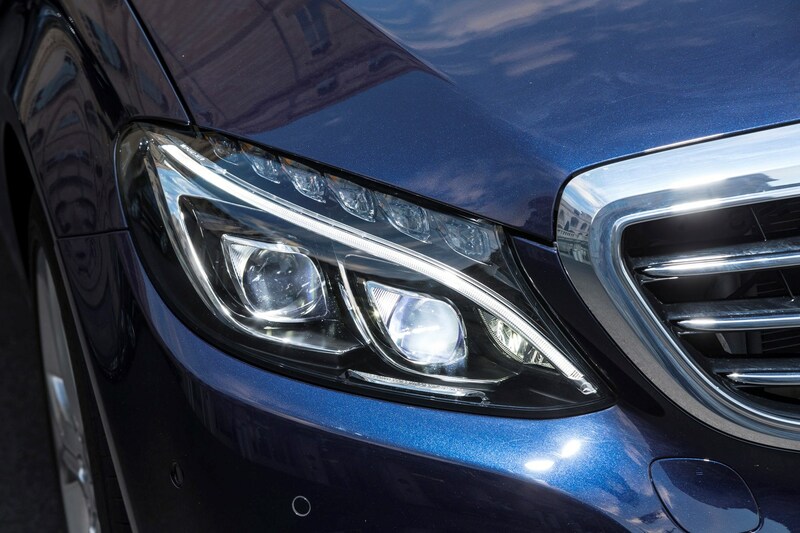 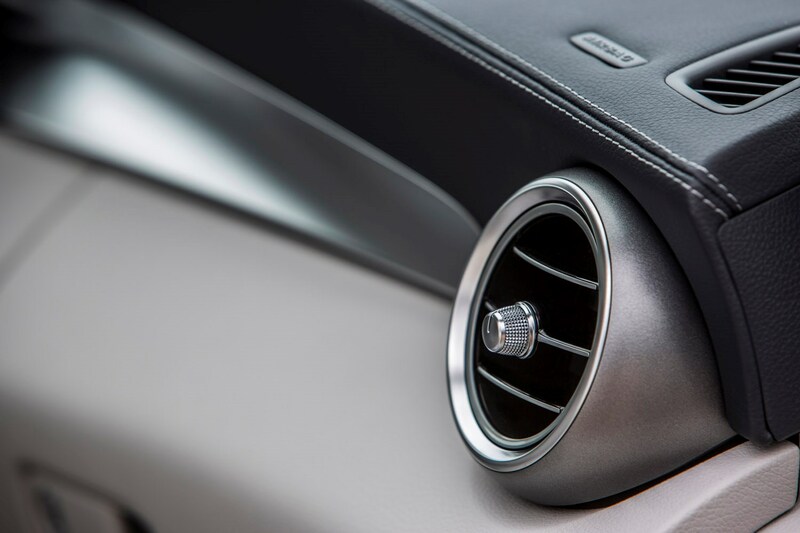 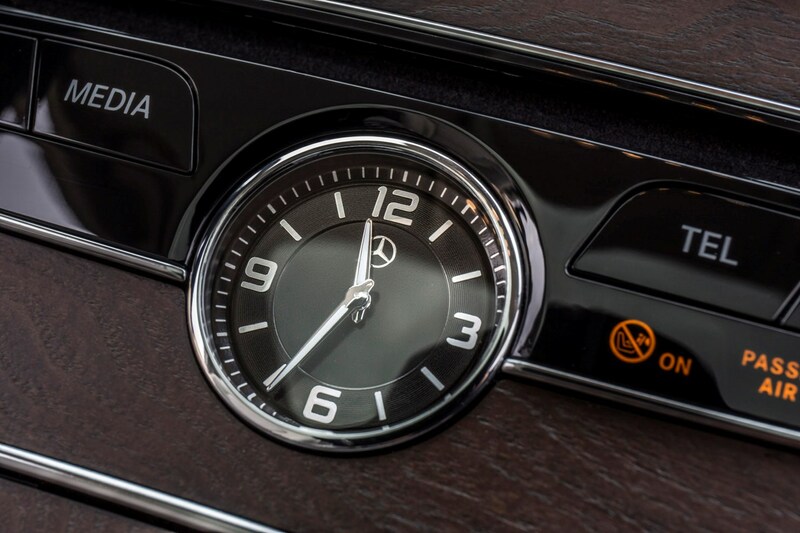 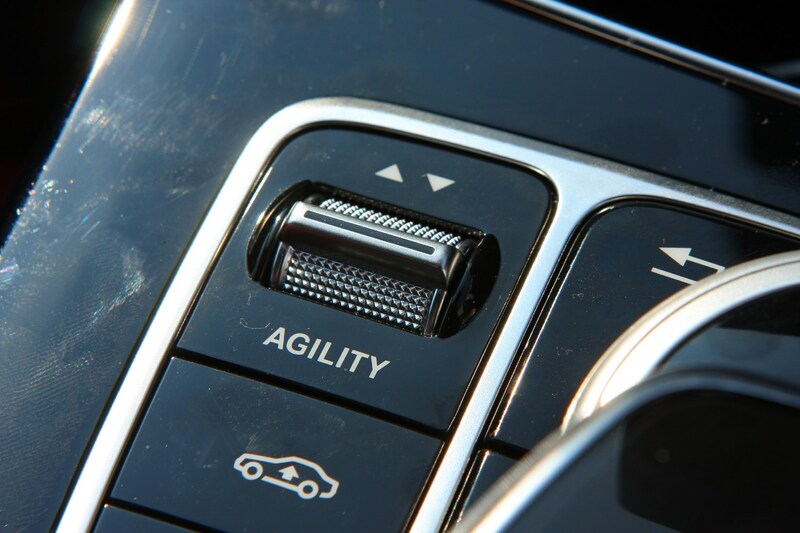 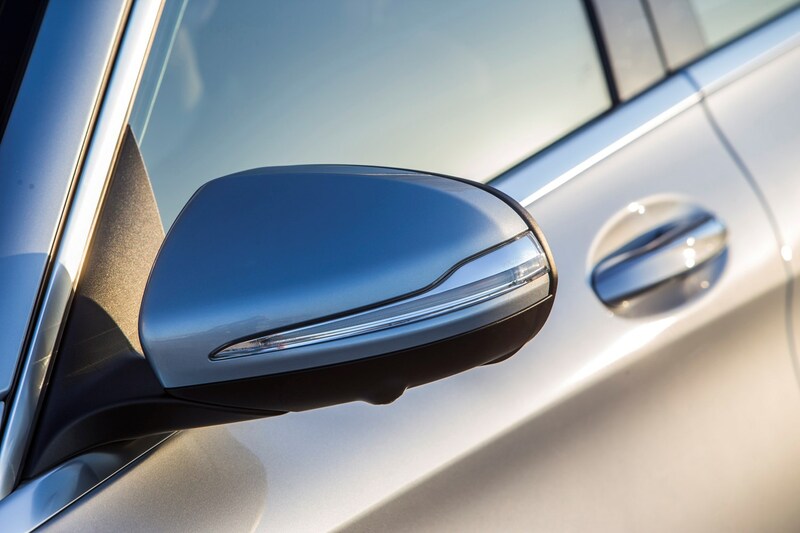 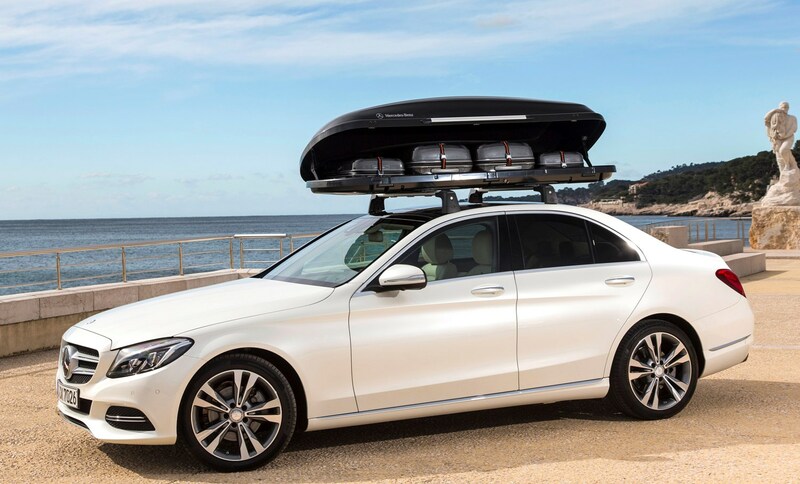 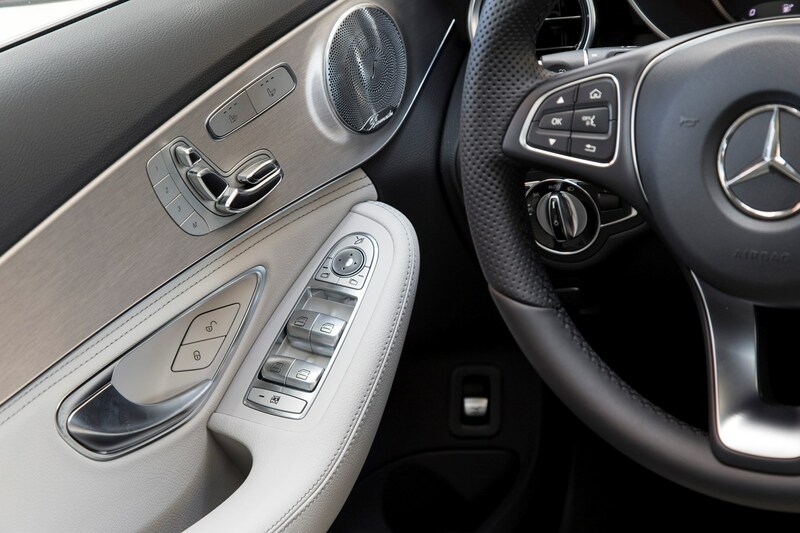 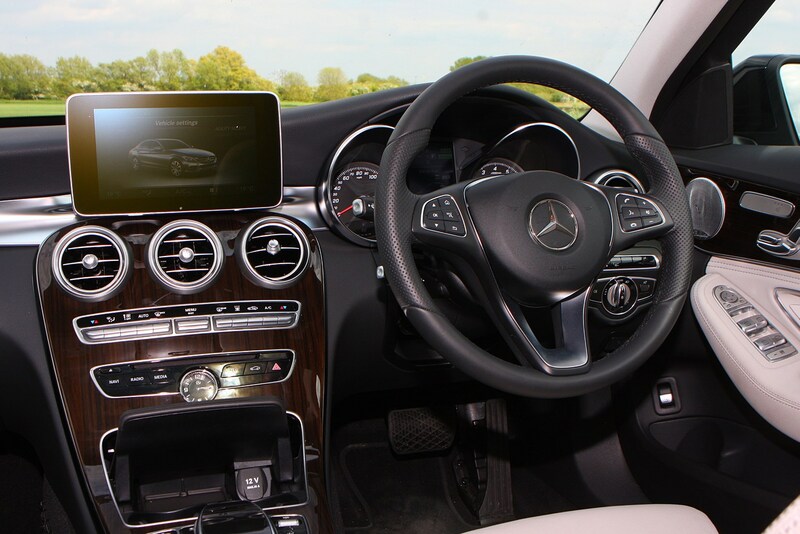 The C-Class' attributes include a huge wealth of equipment for both safety and luxury, a more transparent ownership proposition and a suite of optional extras that make this car feel every inch the baby S-Class. 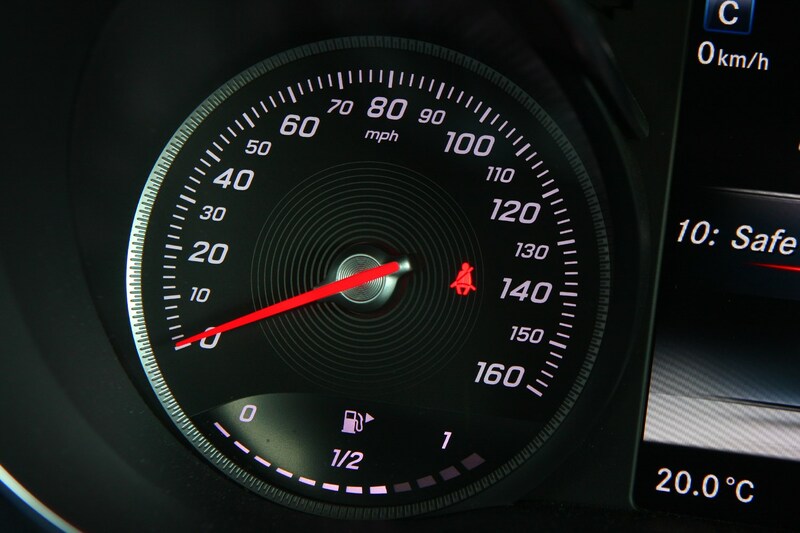 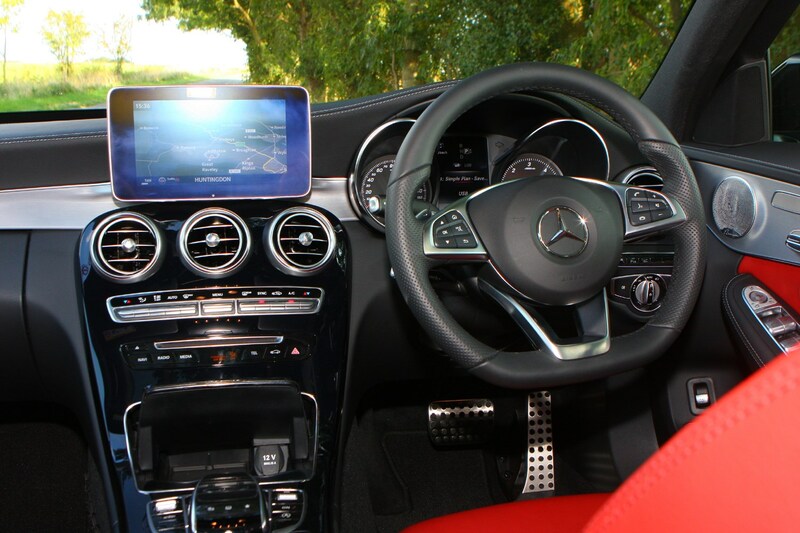 Two extras we’d urge any C-Class buyer to try before committing include the air suspension (which dramatically improves comfort levels), and the head-up display which shows sat-nav and speed limit information on the windscreen. 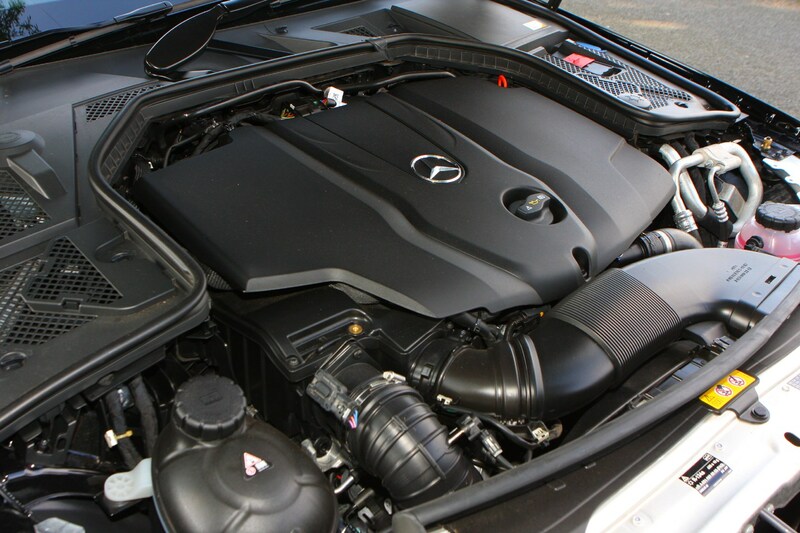 The Sport model seems to possess a balance of equipment and cost, as you get larger 17-inch wheels, LED headlights (a hugely desirable addition), parking sensors, and an appealing interior package, but the majority of cars you’ll see on the road are AMG Line models with a desirable sporty body kit and sharper look. 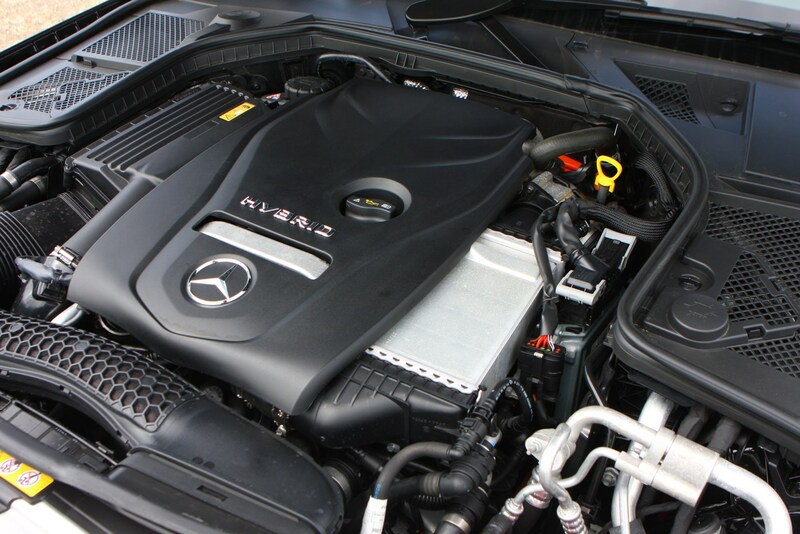 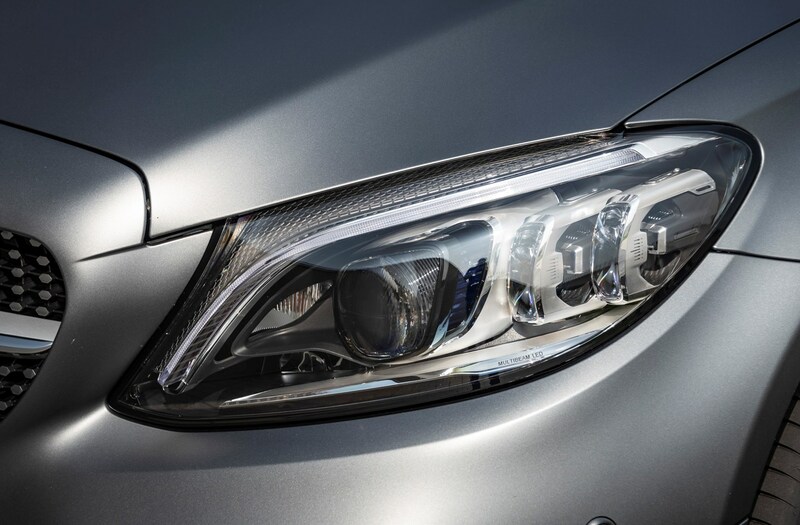 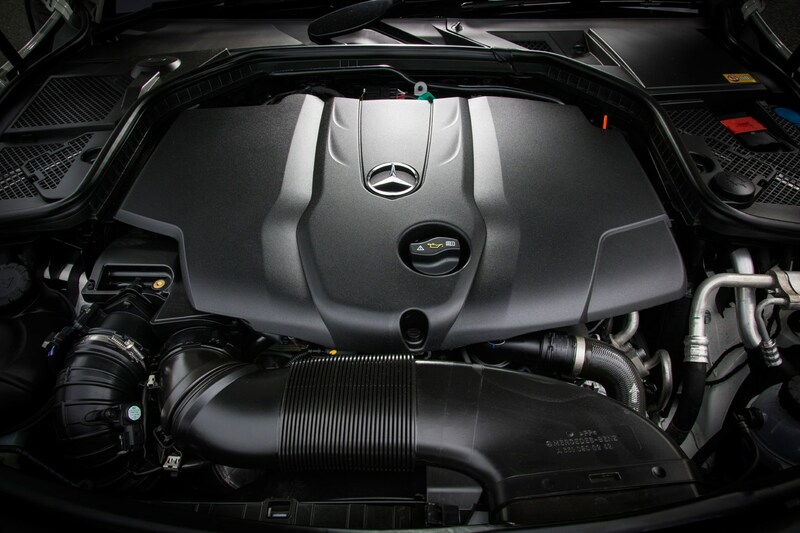 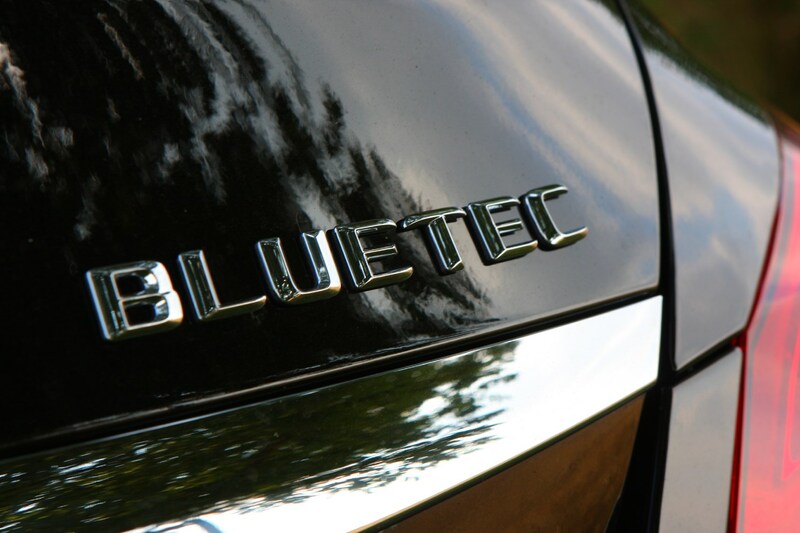 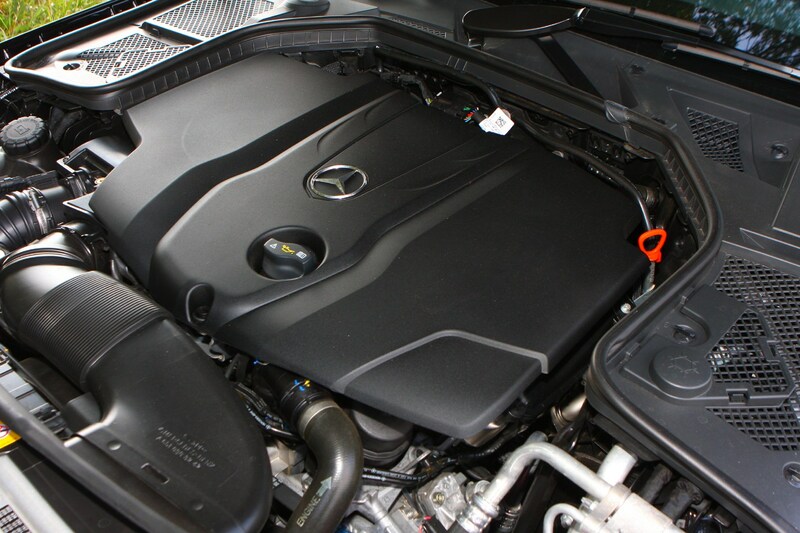 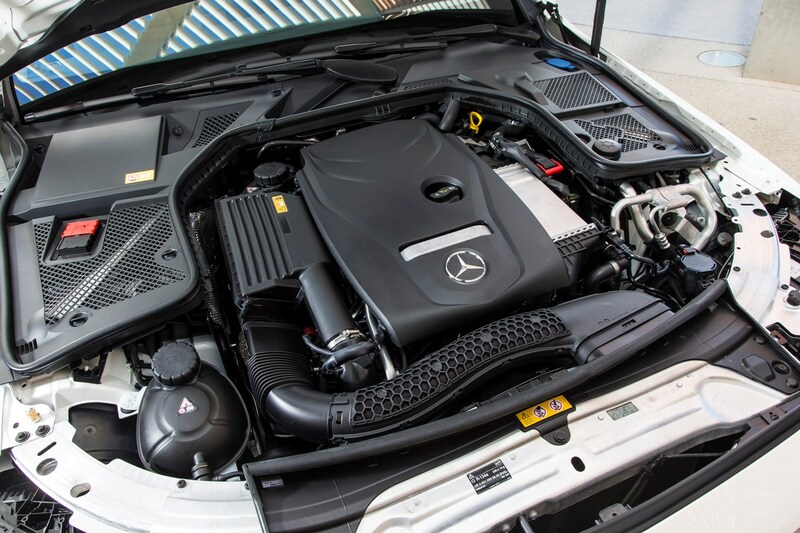 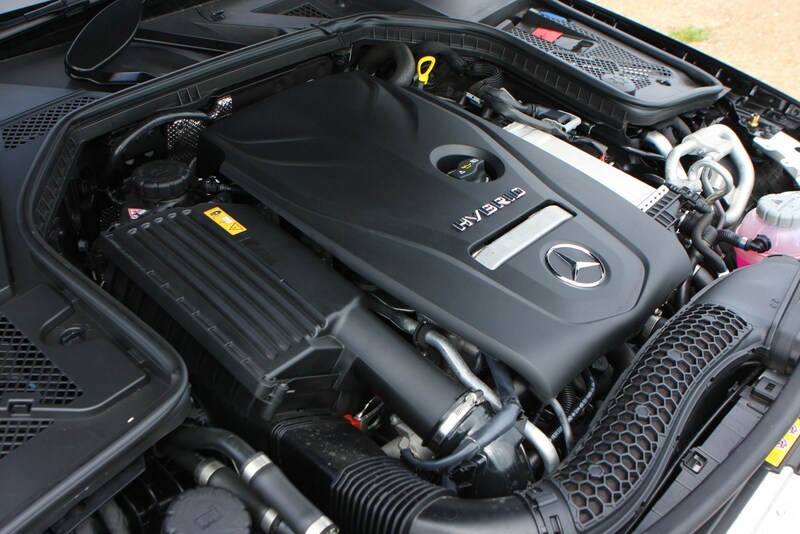 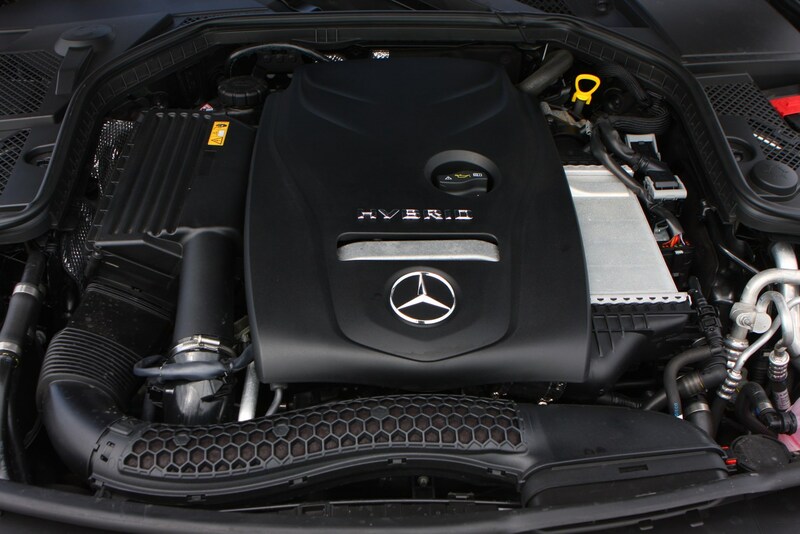 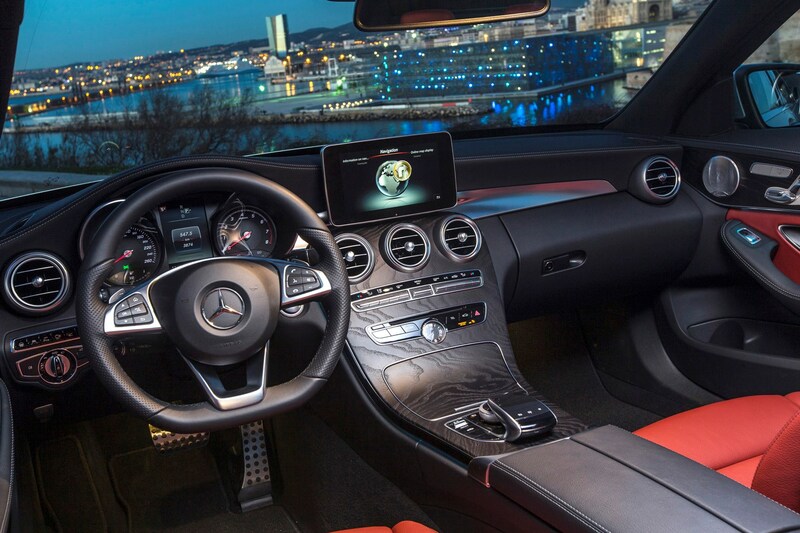 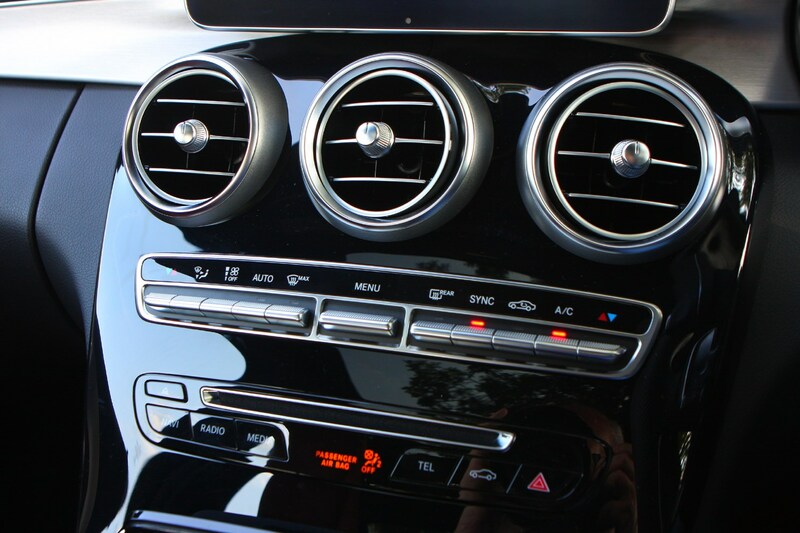 A range of petrol and diesel engines are available in the C-Class, suiting most buyers’ tastes. 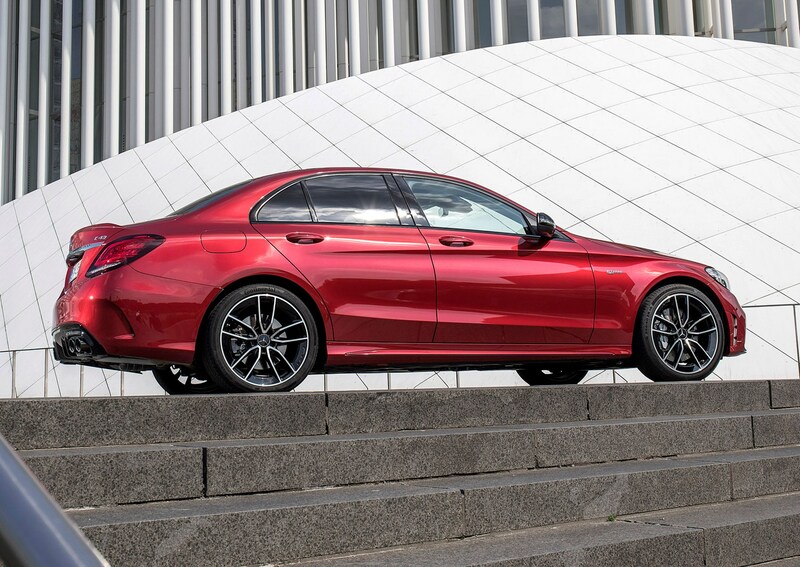 Ranging from the petrol C 200 and C 300, to the Mercedes-AMG C 43. 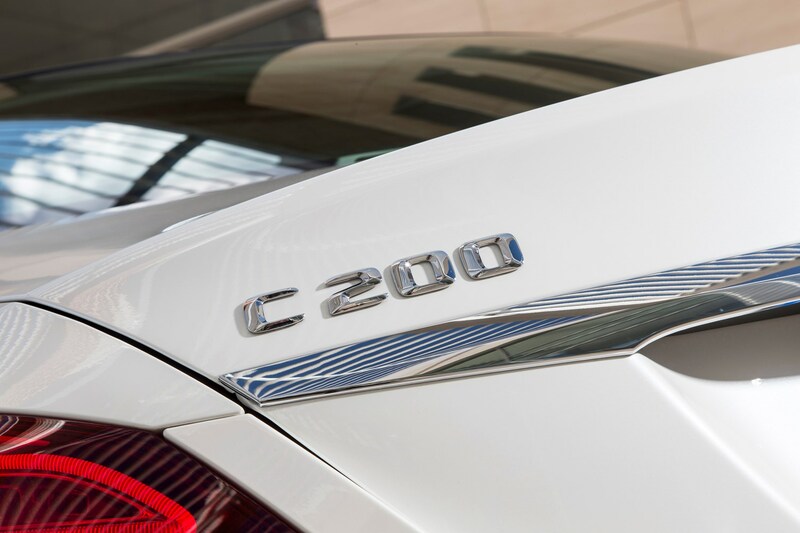 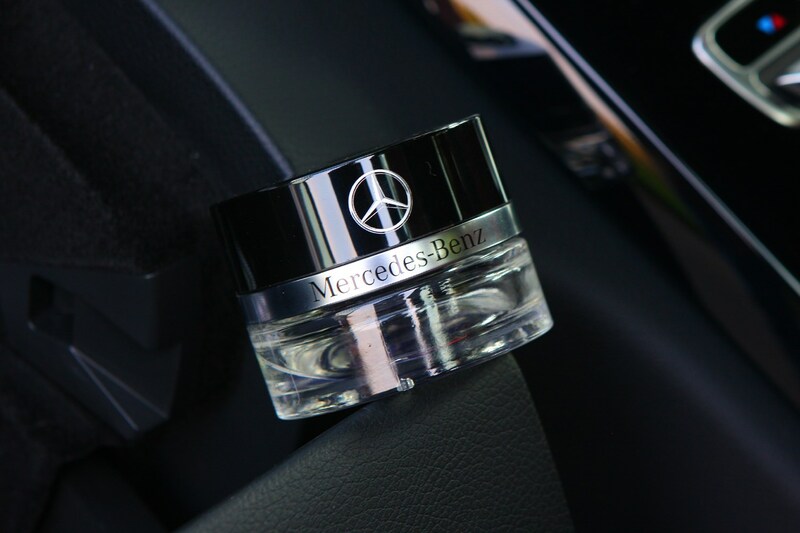 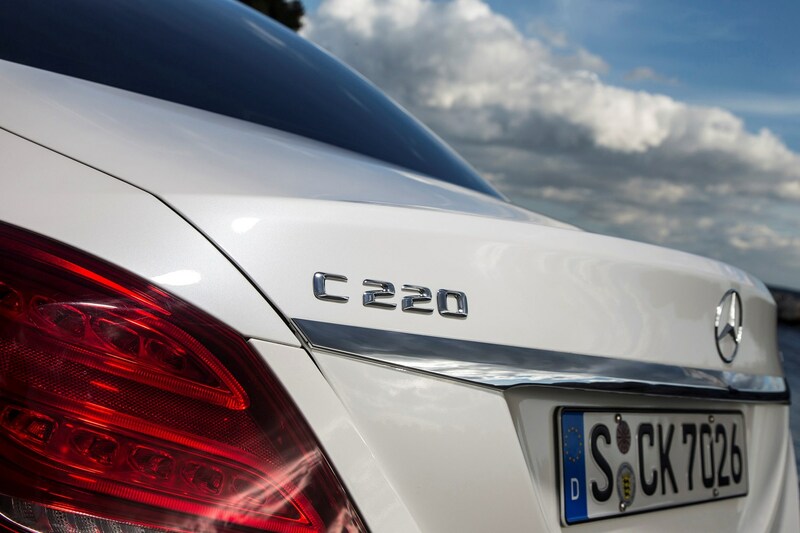 If you prefer diesel there are C 200 d and C 220 options. 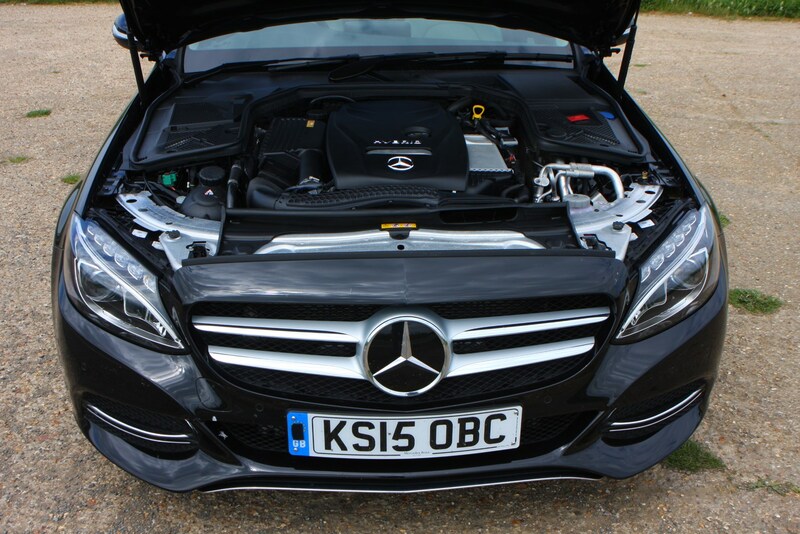 Full details of the power and performance figures for all engines can be found in the Performance section of this review. 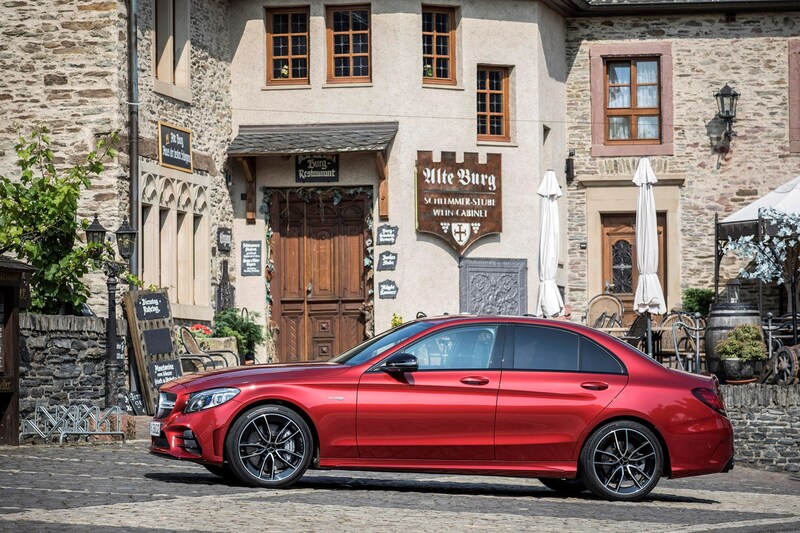 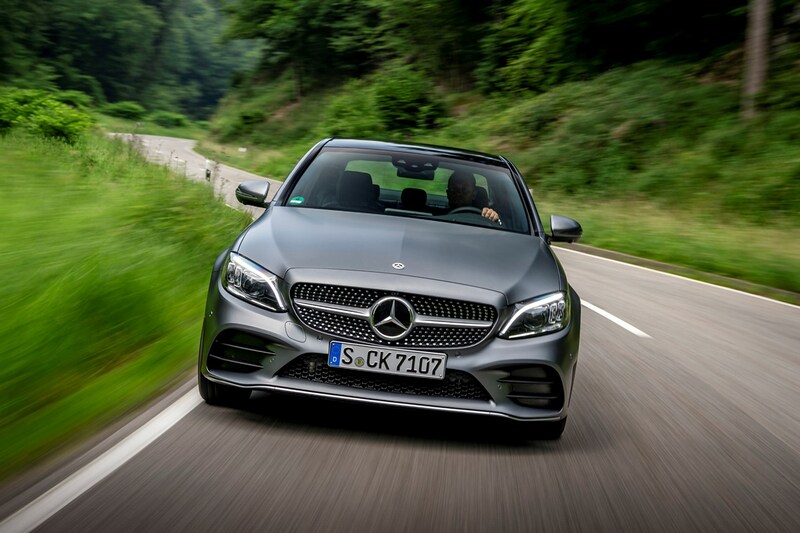 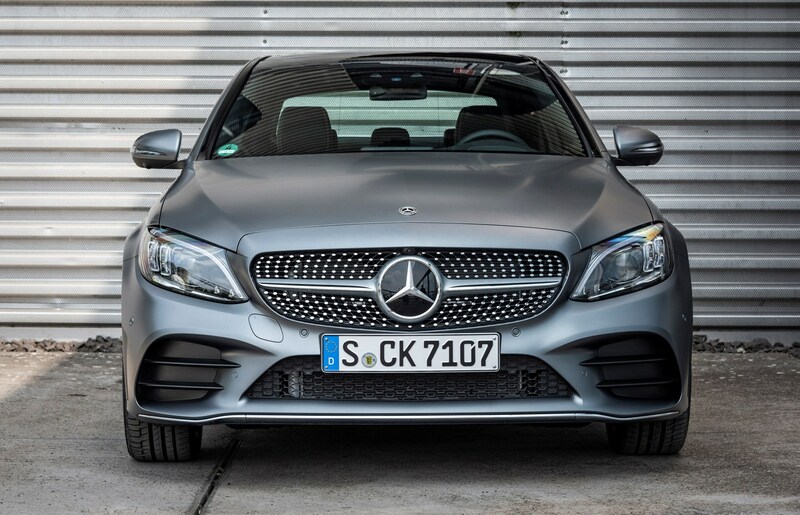 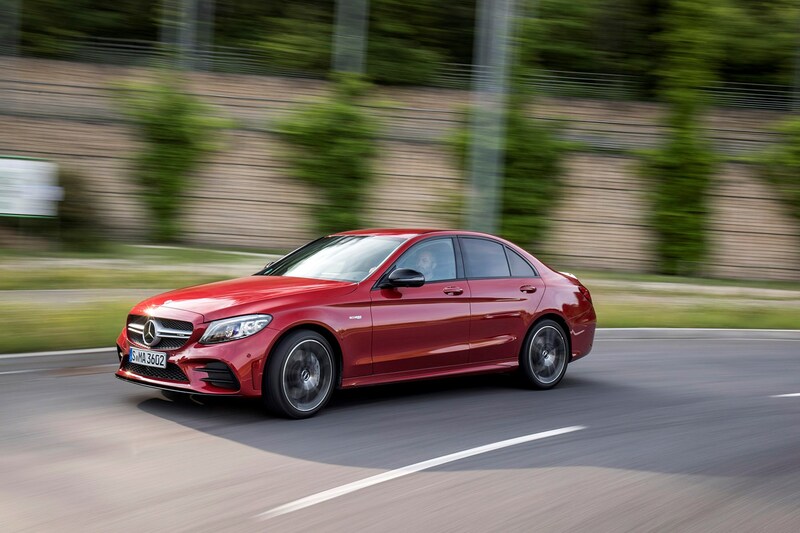 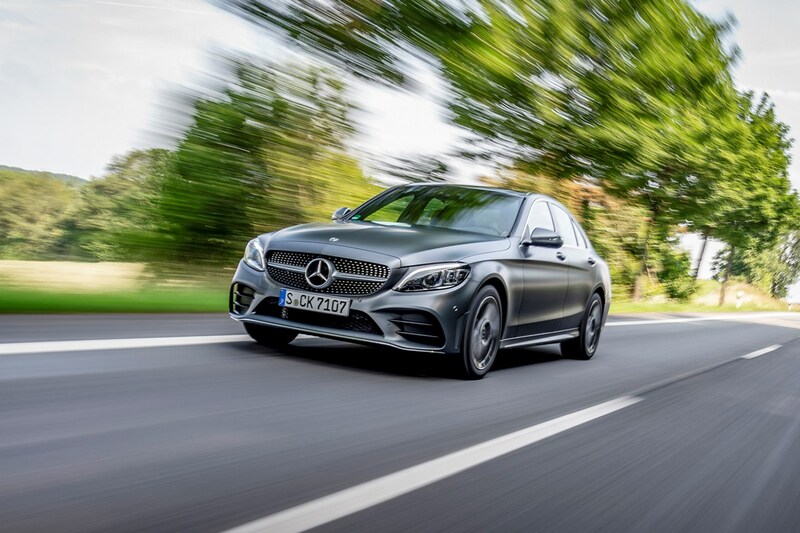 The C-Class is best specified with an automatic gearbox (which you don’t have much choice over as all come with a nine-speed auto transmission anyway), but the entry-level C 200 d is available with a manual gearbox if you really want. 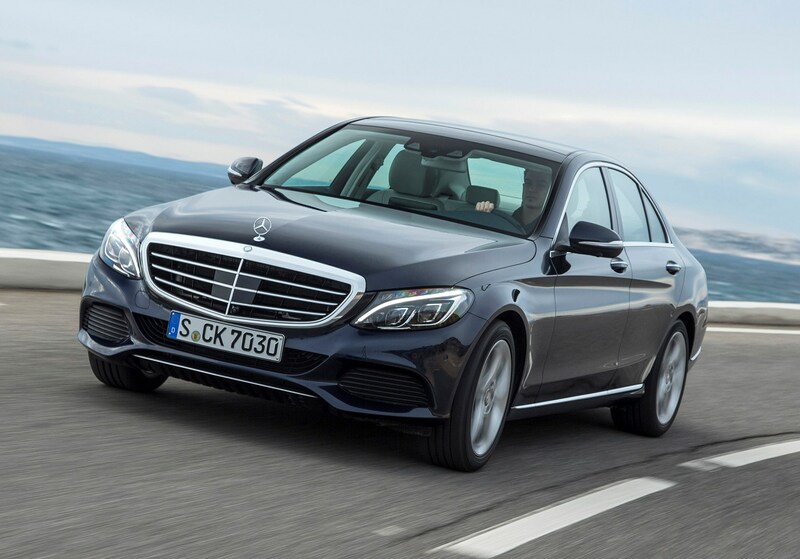 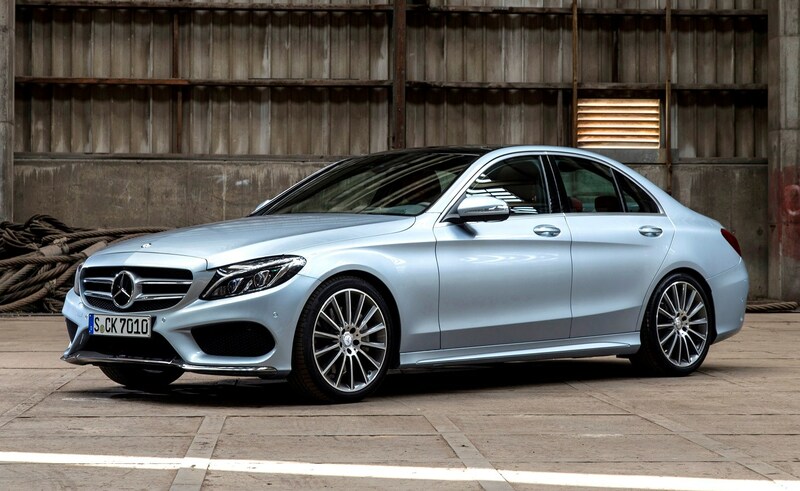 A C 300 h hybrid and C 350 e plug-in hybrid were added to the range before the car’s 2018 facelift, too, which will be of particular appeal to company car drivers. 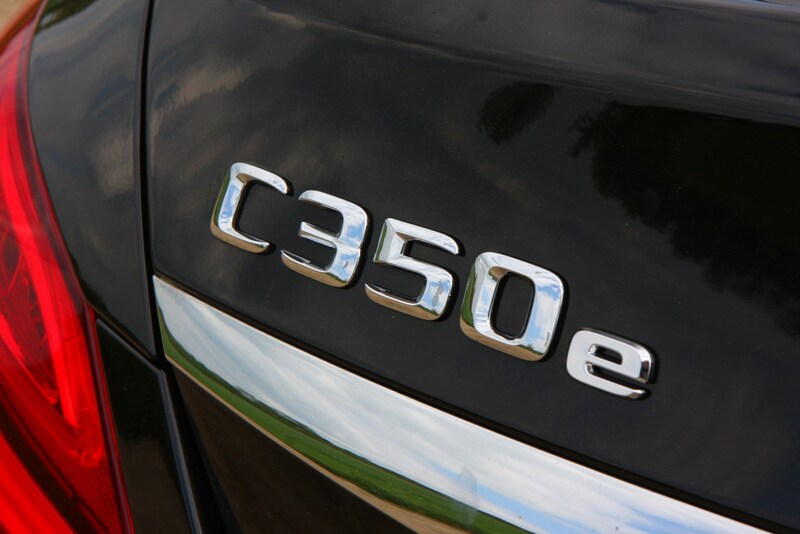 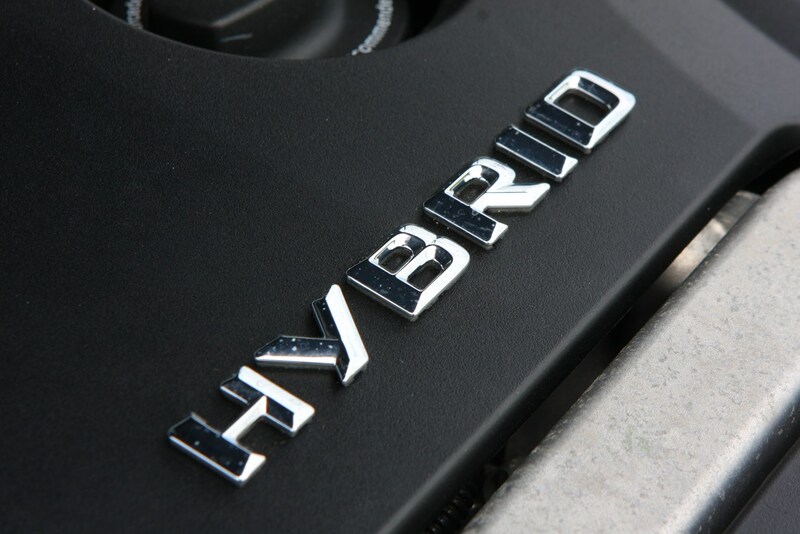 These are expected to be replaced with a diesel-electric plug-in hybrid with the updated range. 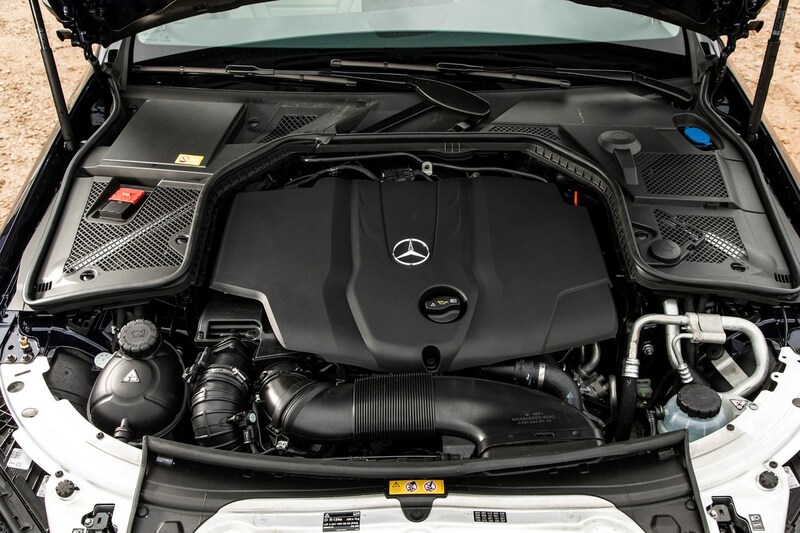 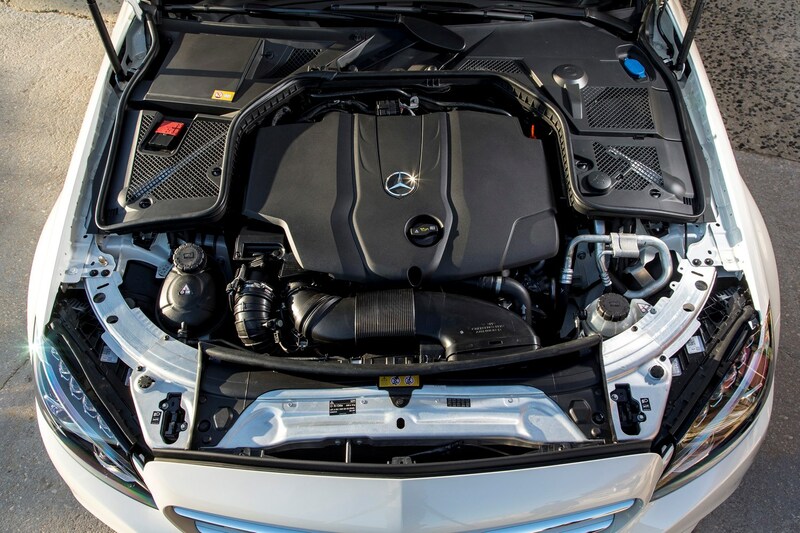 The C 63 performance version of the C-Class Saloon uses a 4.0-litre V8 petrol engine with astonishing power of 476hp and torque of 650Nm for the 'standard' version (which UK buyers prefer, according to sales statistics released in 2018), and 510hp/700Nm for the uprated S model. 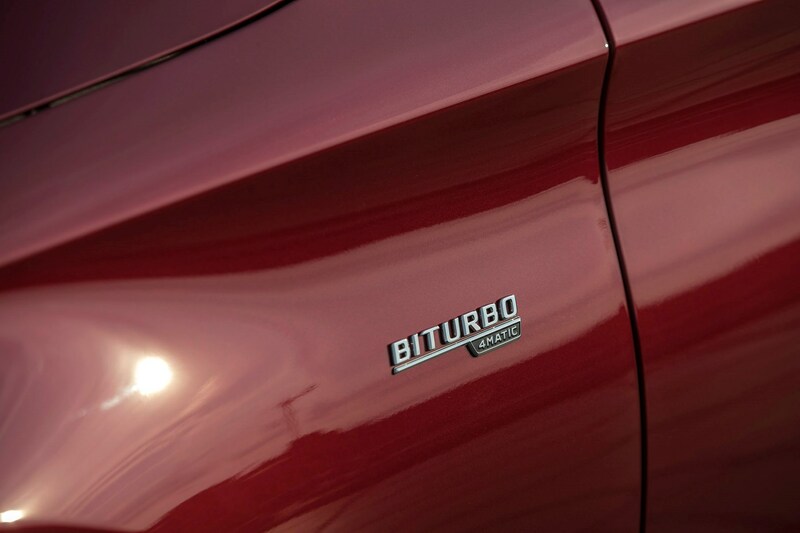 It's a rival for the Audi RS 4 and BMW M3 Saloon, with the Alfa Romeo Giulia Quadrofoglio also in the mix. 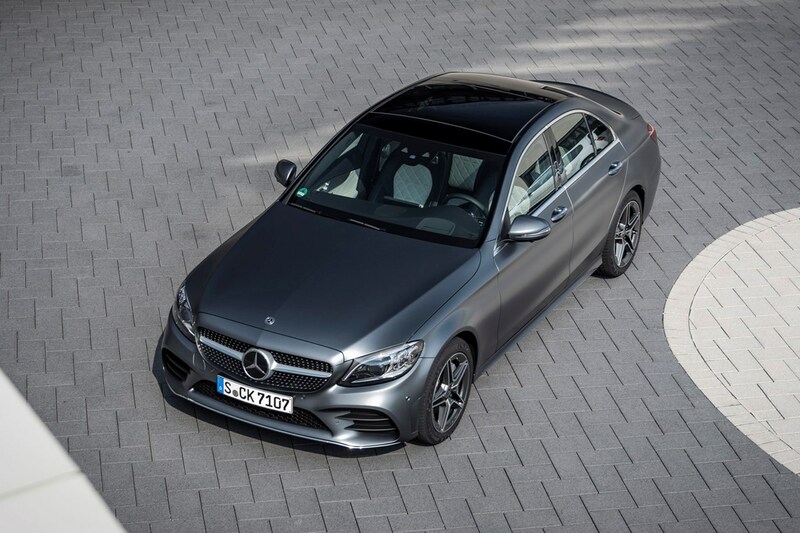 It launched with a seven-speed automatic gearbox, but the facelift in 2018 ushered in a nine-speed double-clutch 'box in its place, along with the S's electronically controlled diff on all models, torque-vectoring, a new nine-stage traction control system (for S models only) and a different steering wheel to control much of the additional technology. 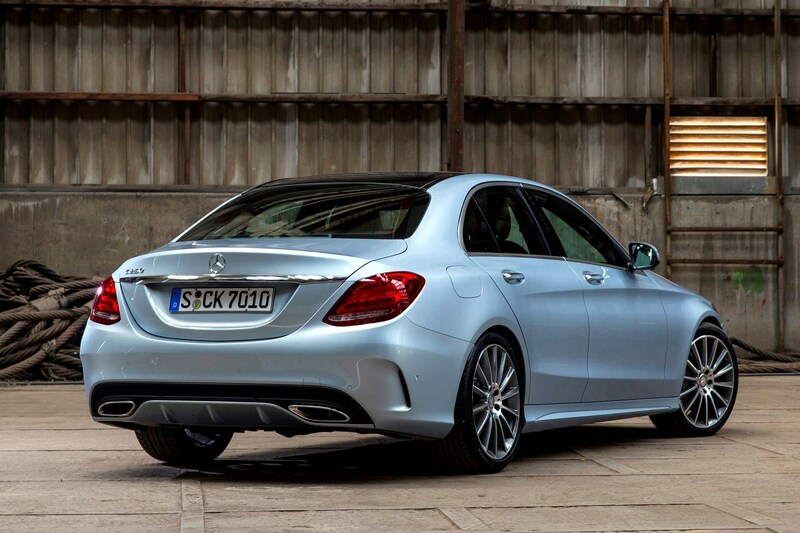 Some 100kg lighter than its predecessor, Mercedes-Benz claims the fourth-generation C-Class has the lightest bodyshell of the segment, helped largely by the increased use of aluminium. 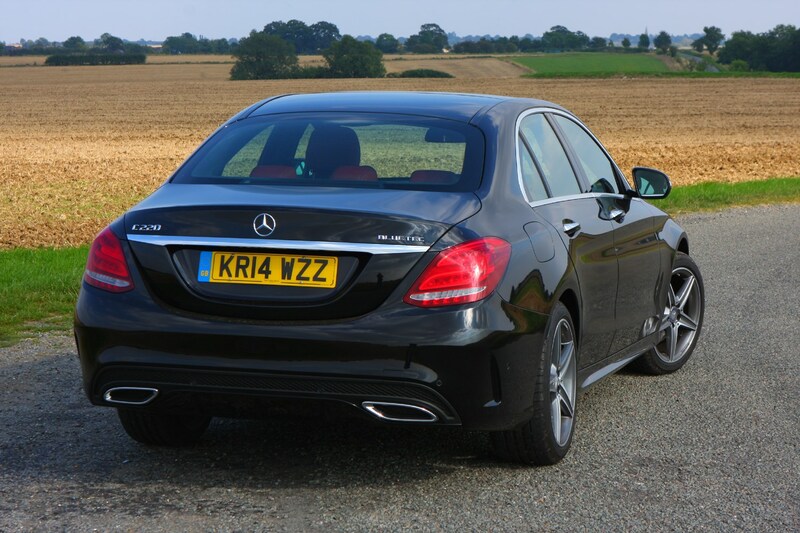 Weight loss played a key part in the design process and CO2 emissions have been reduced over the outgoing model as a result, with some pleasingly low figures from the C 200 d.
Sharing much of its interior design with the larger E- and S-Class saloons, the C-Class is luxurious inside certainly looks every inch the premium saloon. 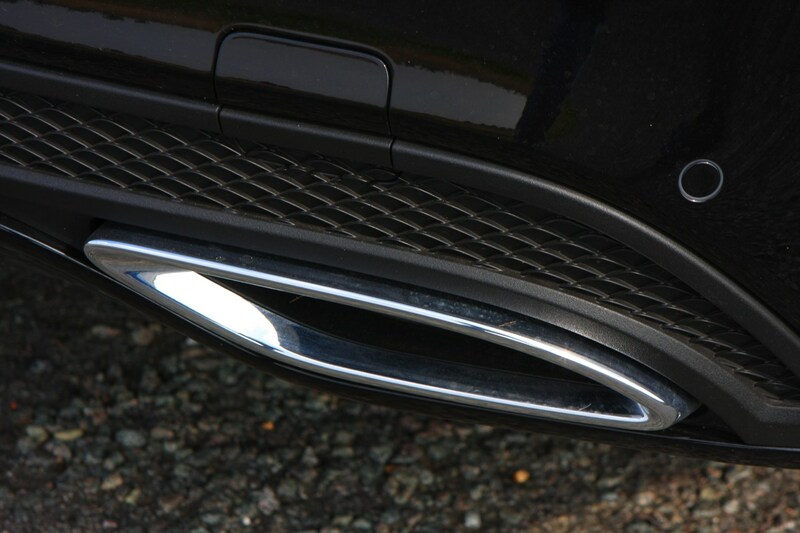 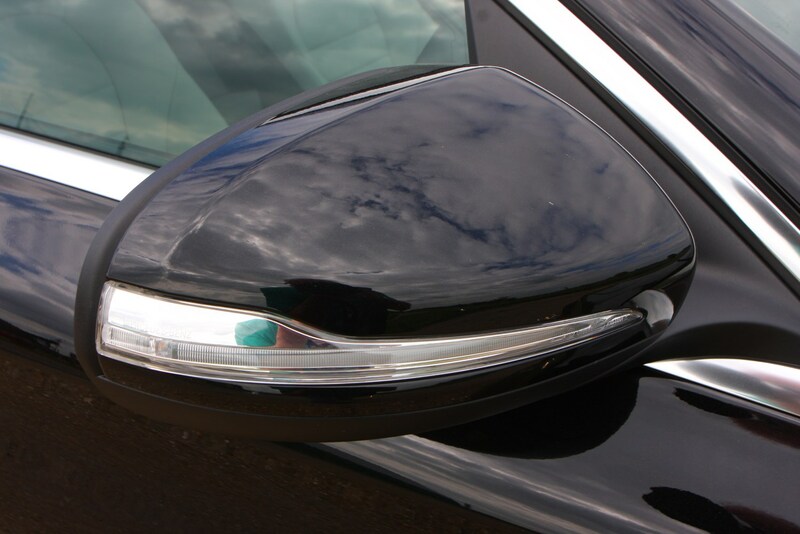 Although, probe a little deeper and spend more time in the car and the quality doesn’t always live up to the look. 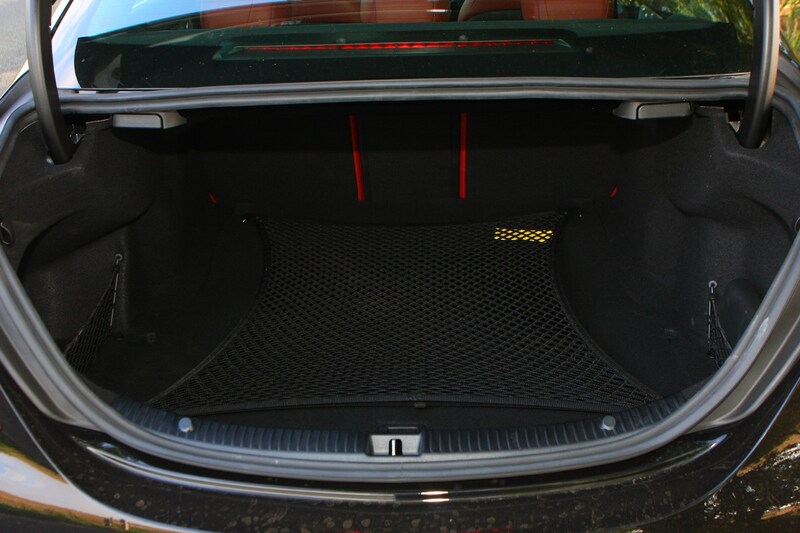 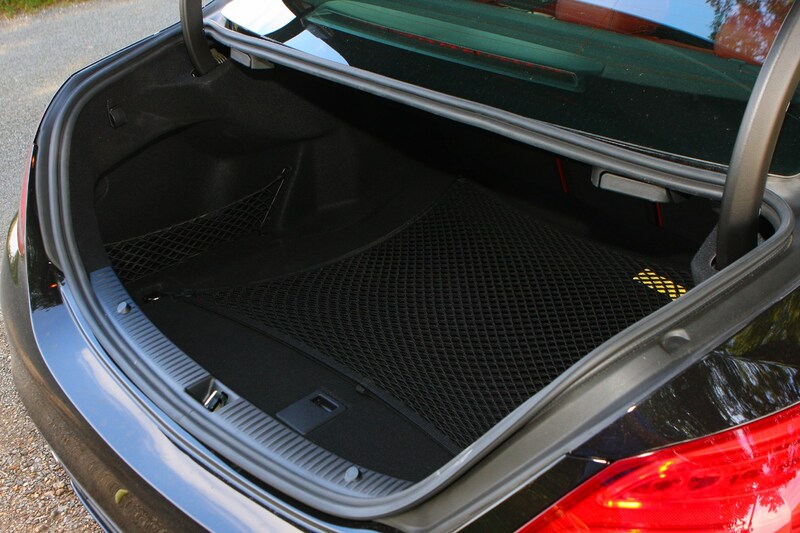 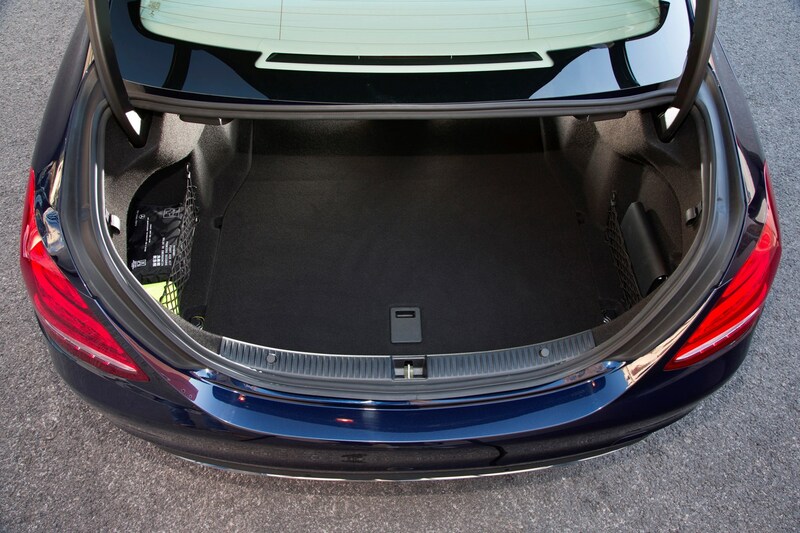 It doesn’t feel as solid as the Audi A4 inside. 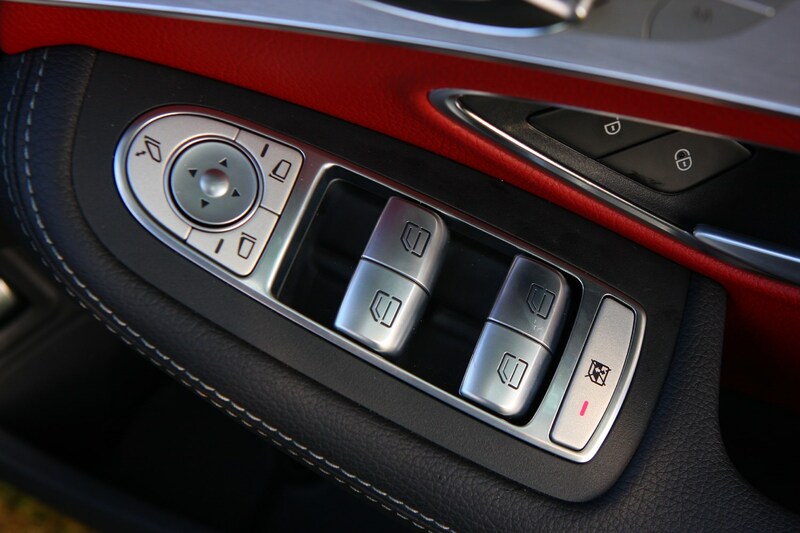 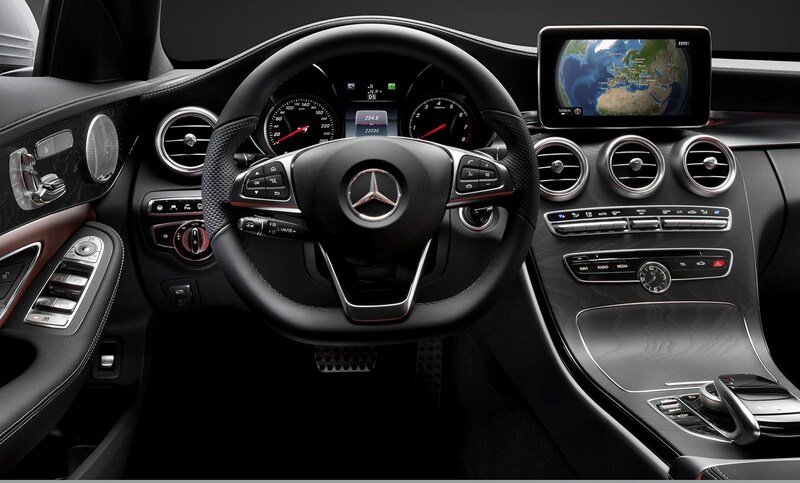 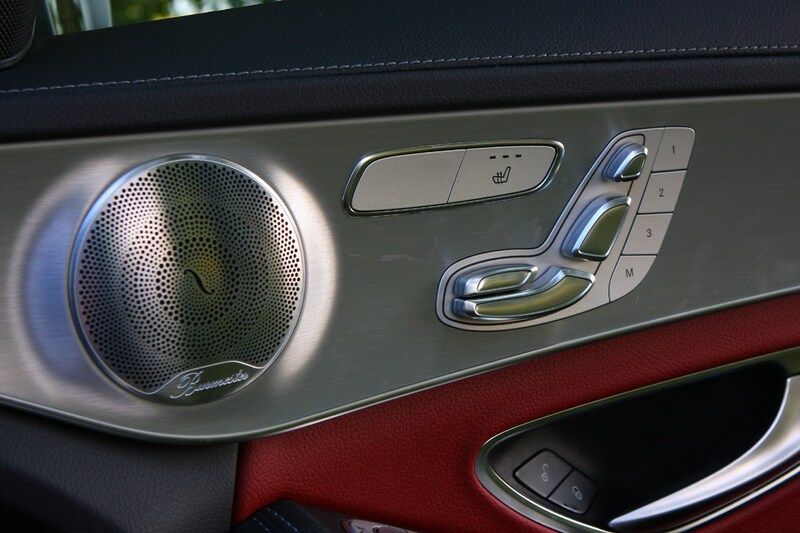 As well as featuring some of the advanced technologies available in the S-Class, the C-Class comes complete with Merc’s latest infotainment systems and driver assistance tech, with the usual scroll wheel and touchpad for controlling the majority of the car’s functions. 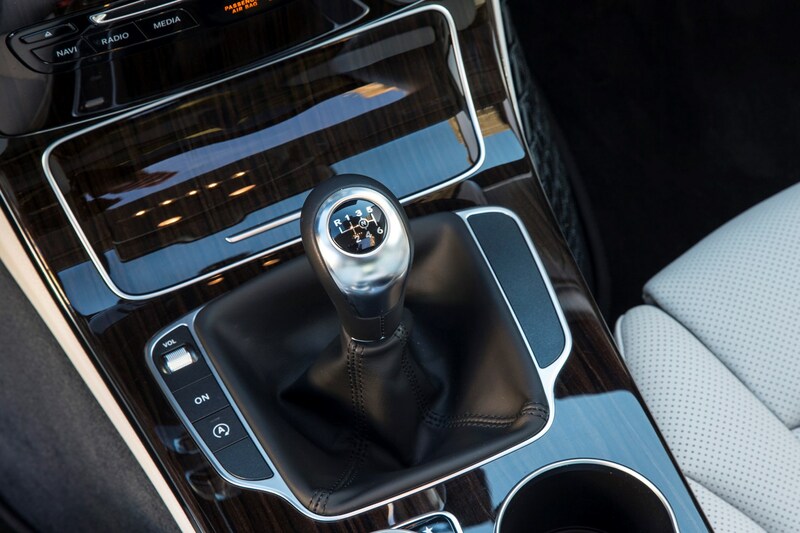 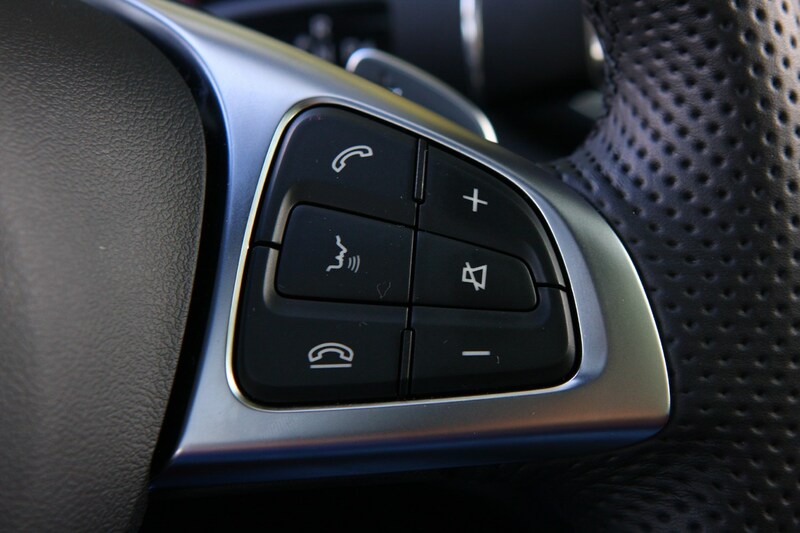 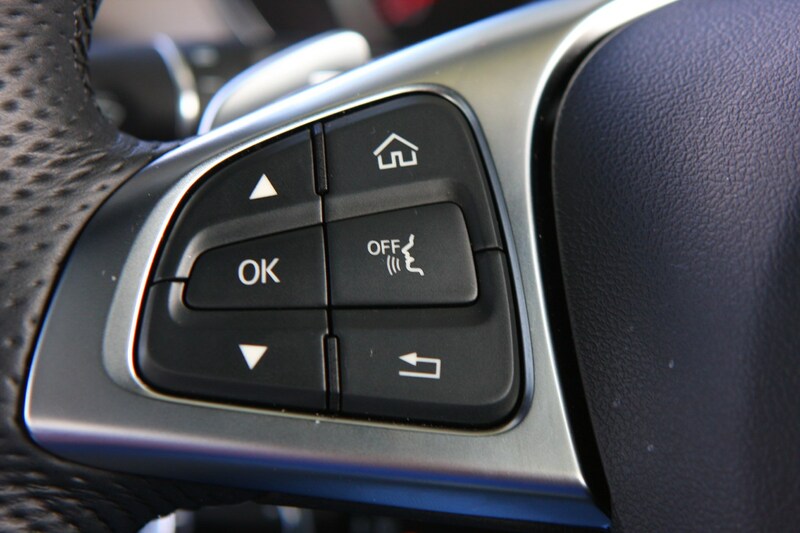 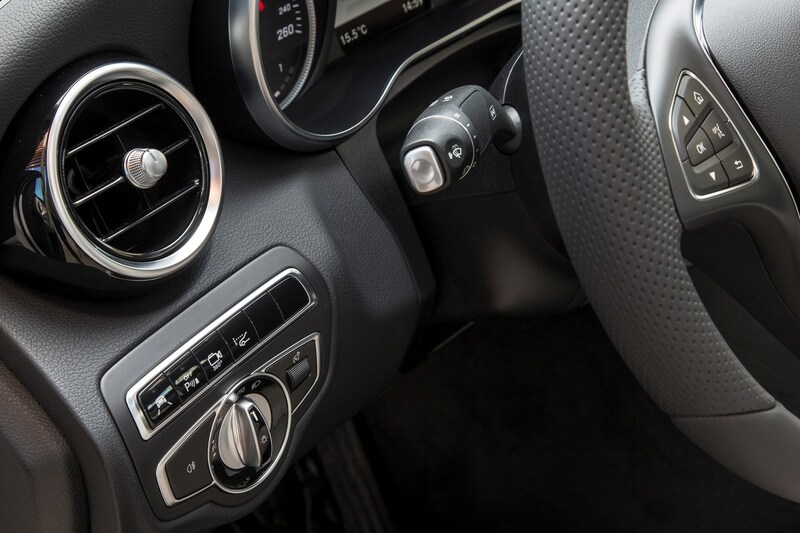 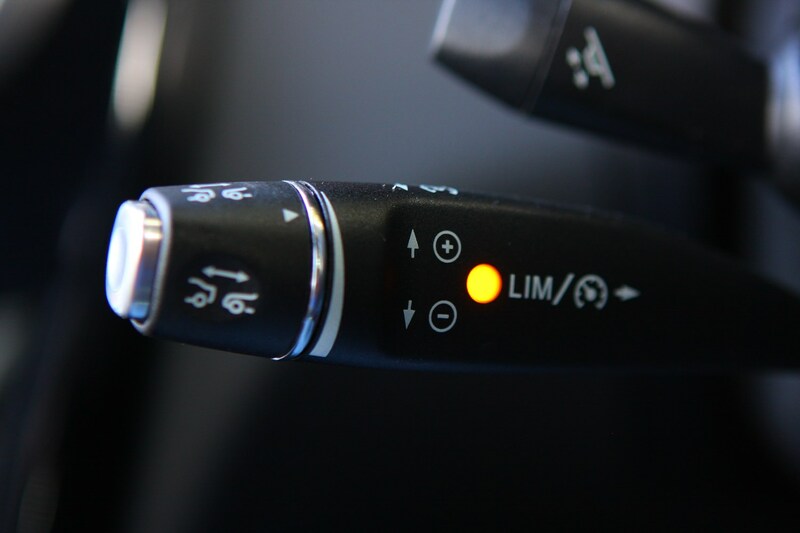 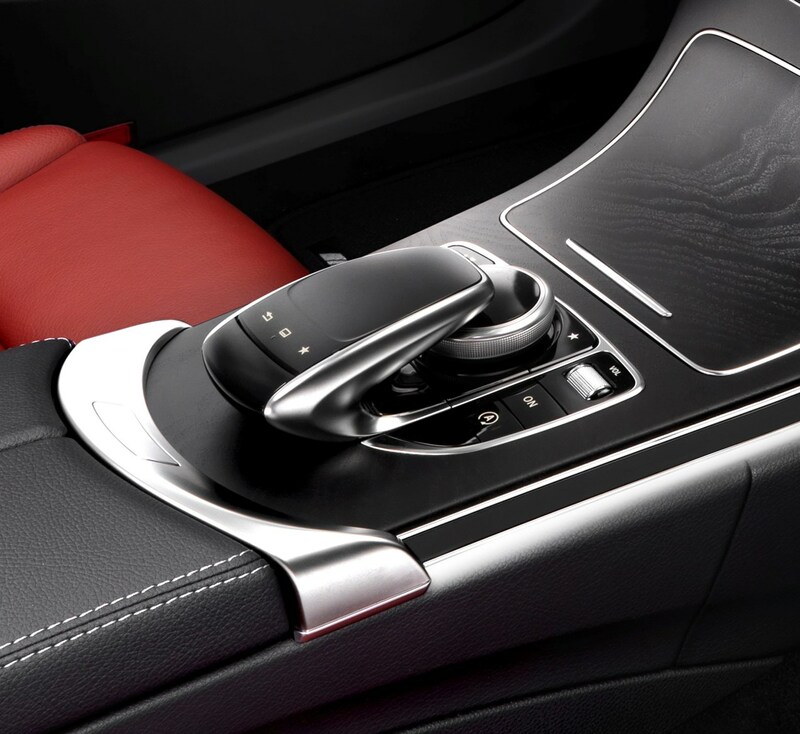 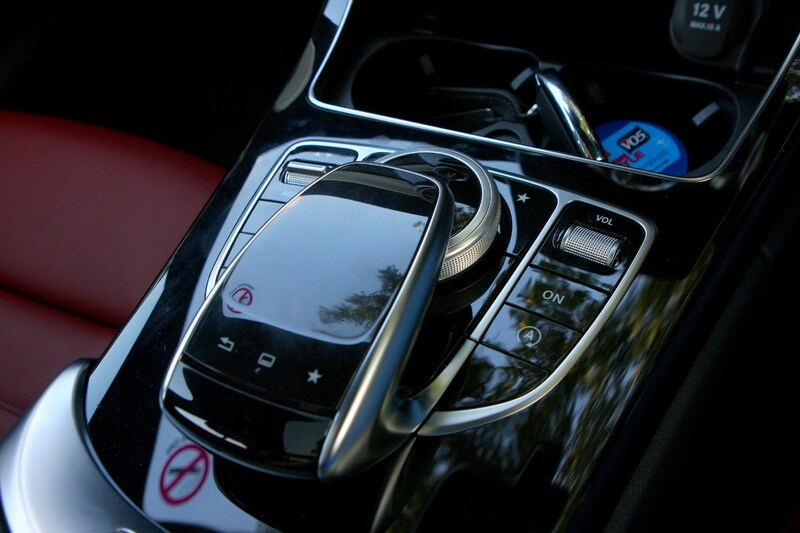 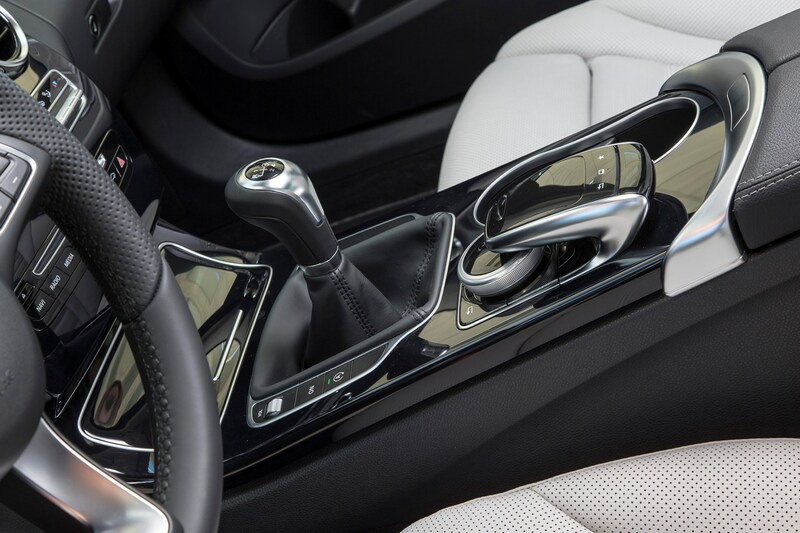 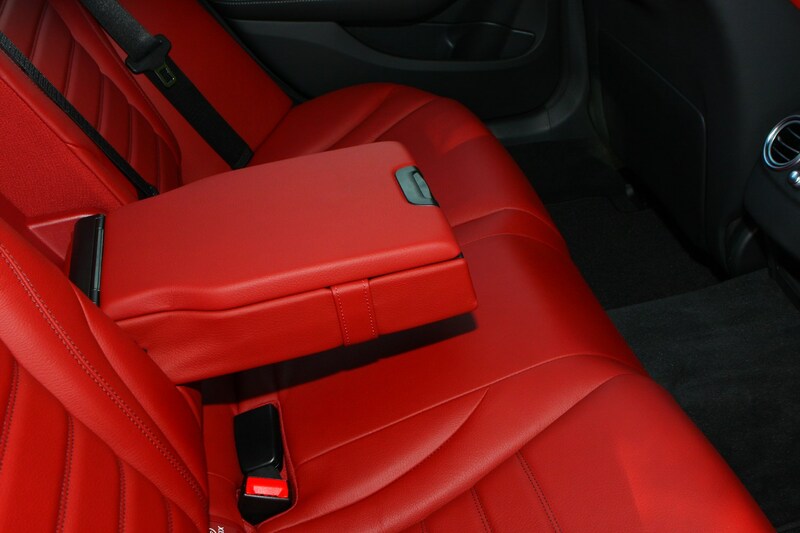 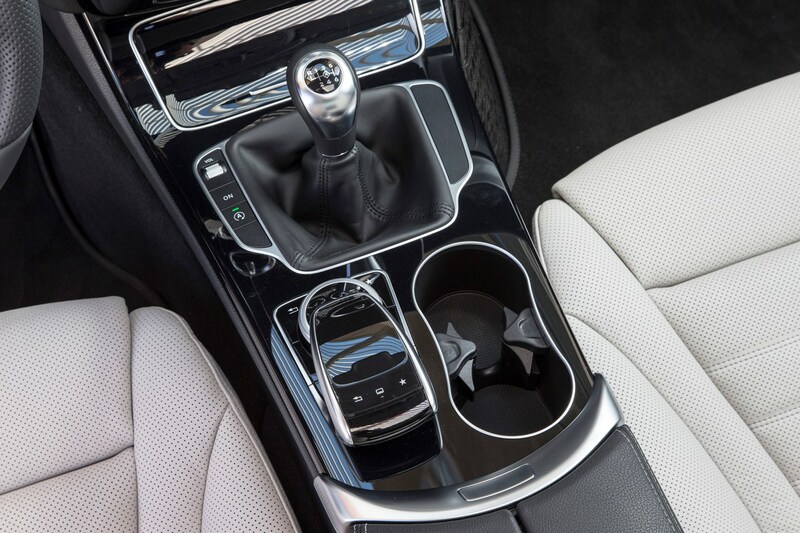 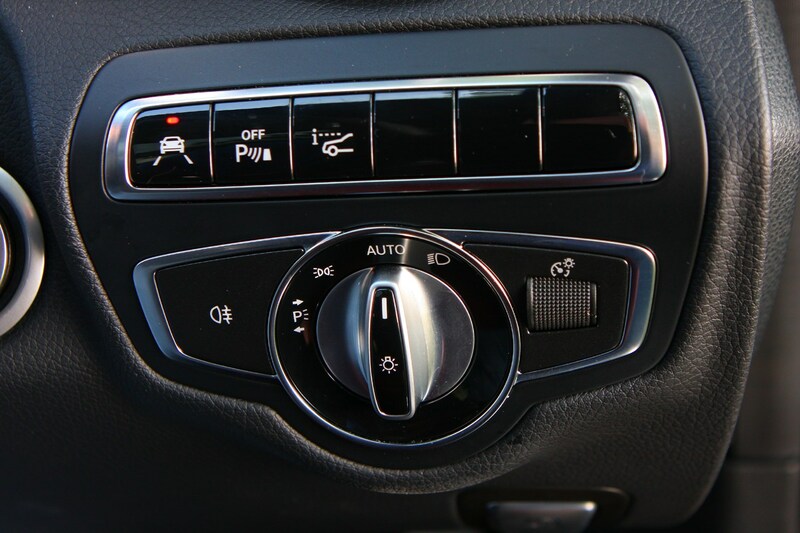 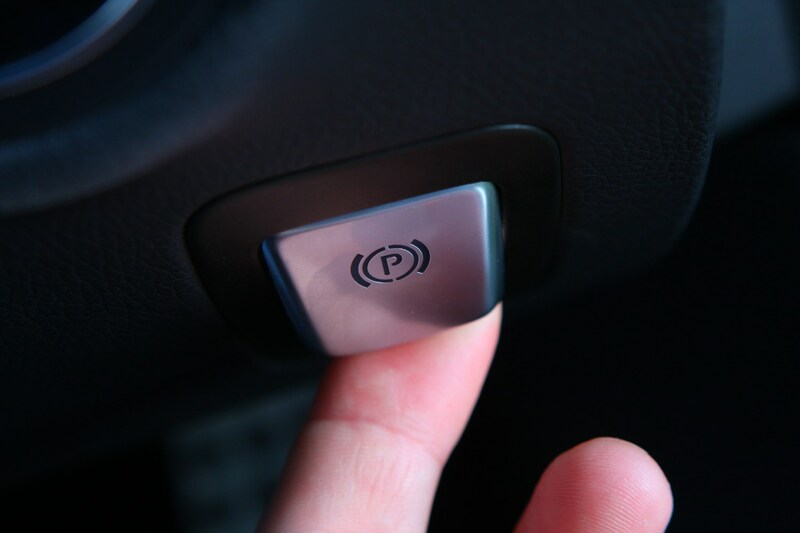 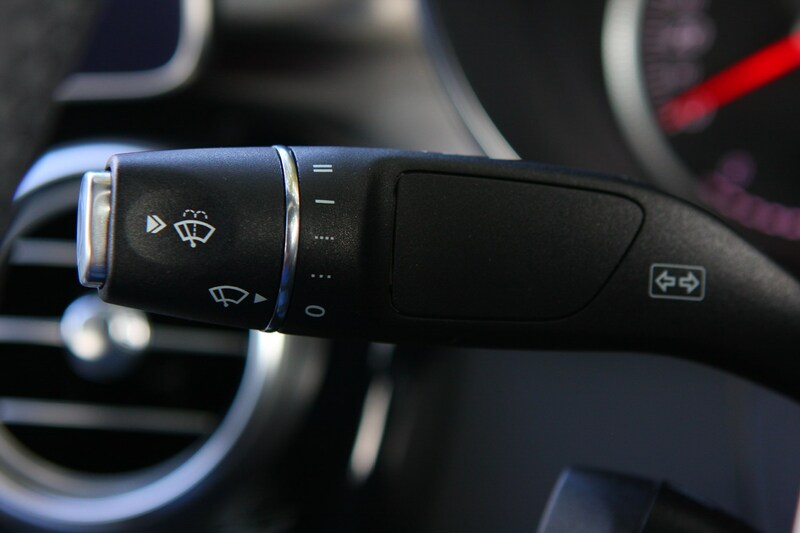 Built into the hand rest on the central control panel, the touchpad enables drivers to control all the functions in the same way we use smartphones and tablets. 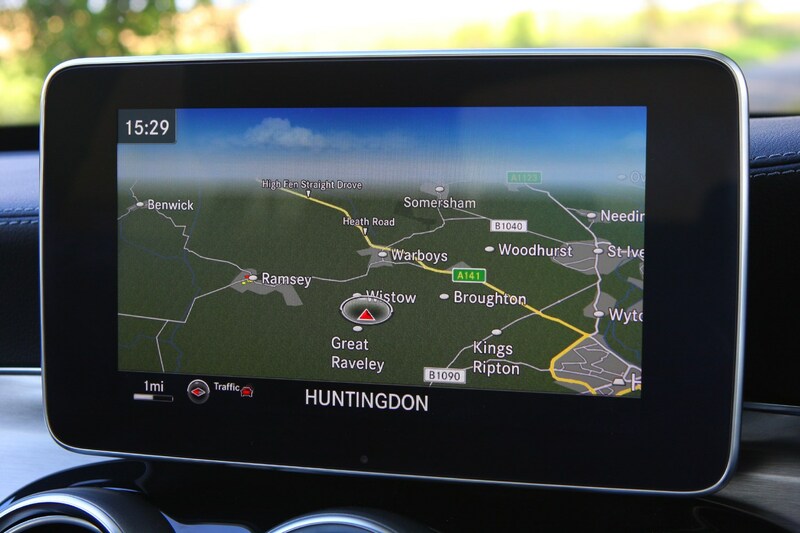 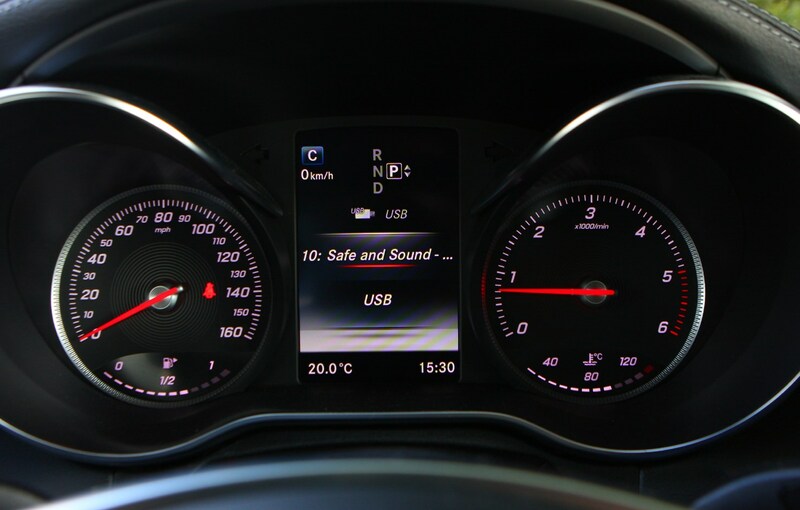 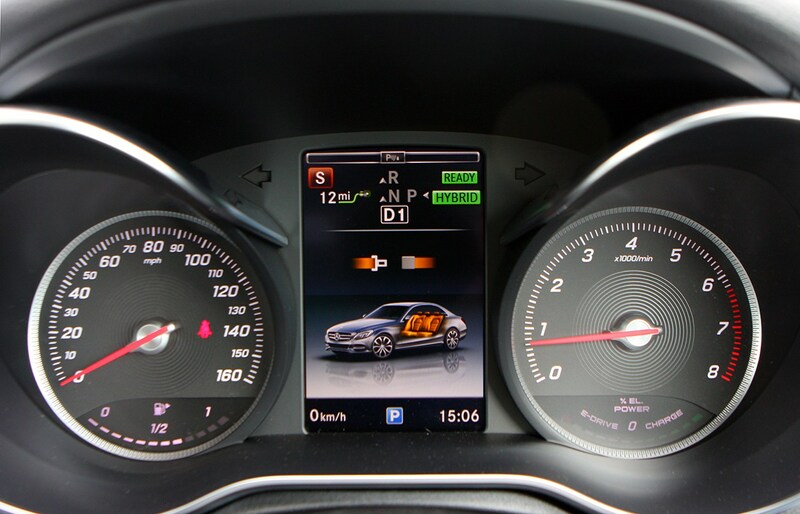 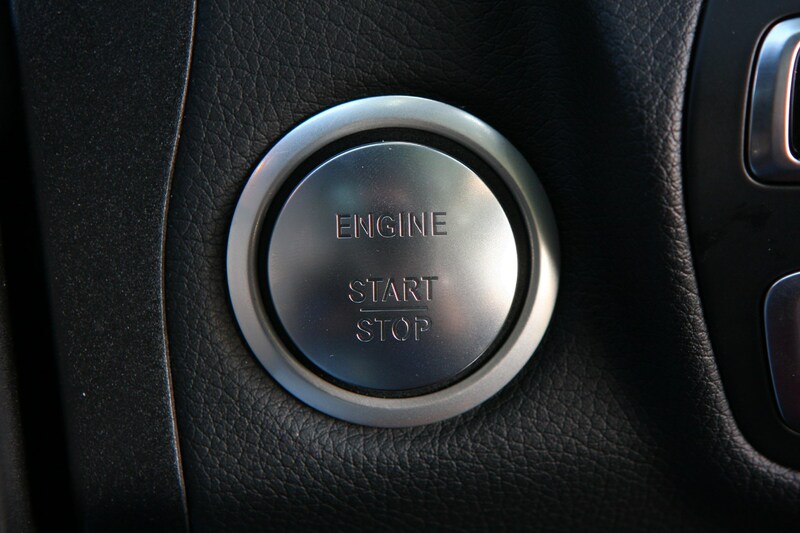 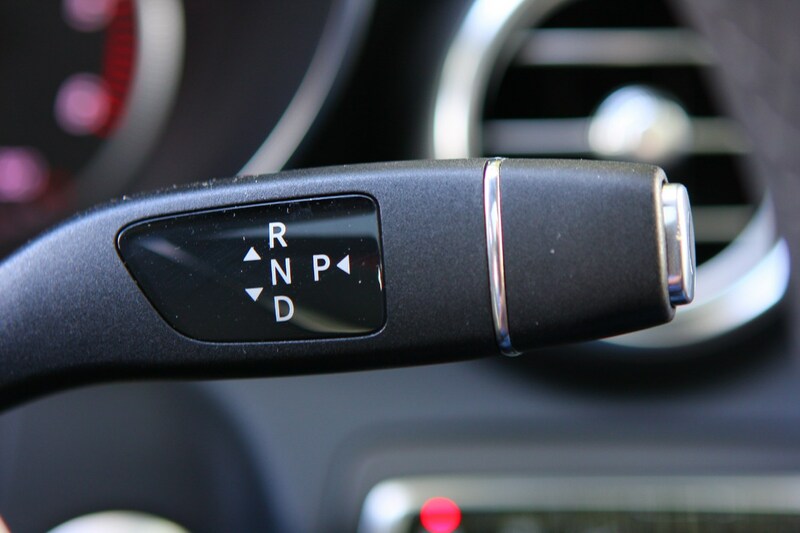 It also allows letters and numbers to be entered using the handwriting recognition tool – similar to the set-ups you see on BMW and Audi cars. 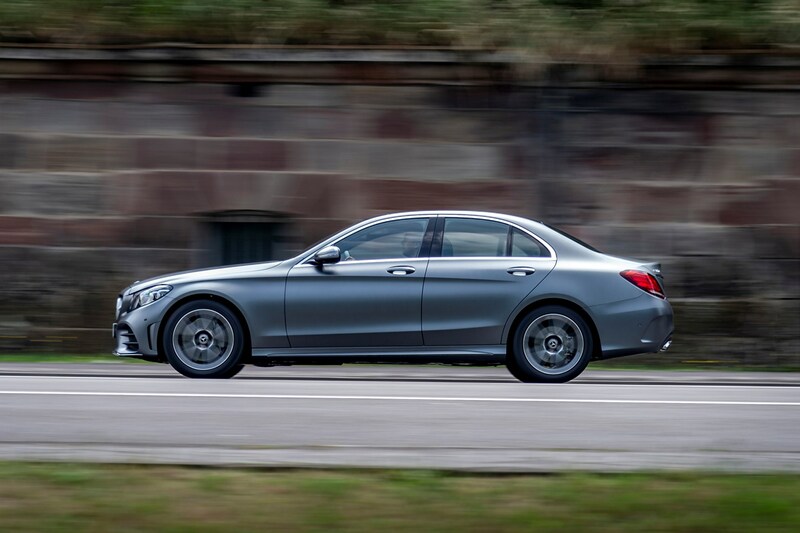 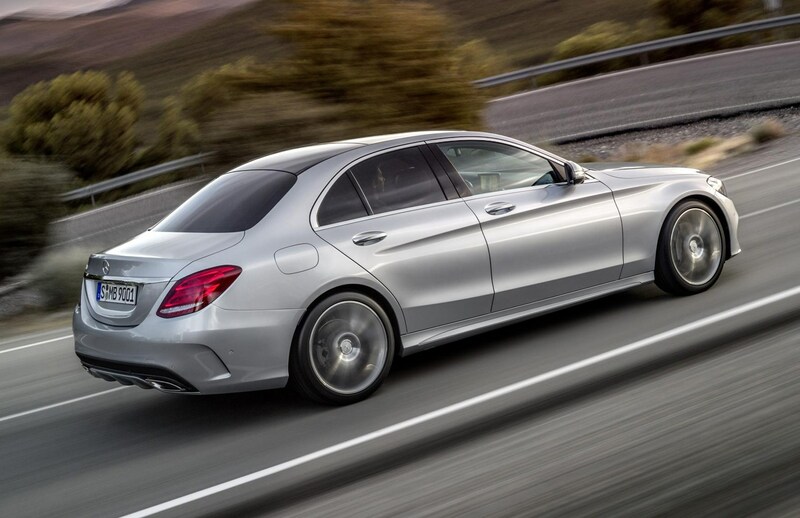 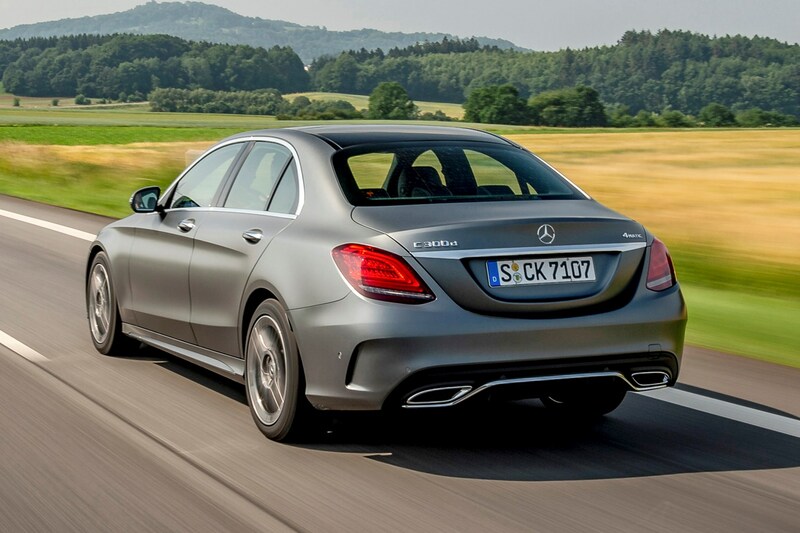 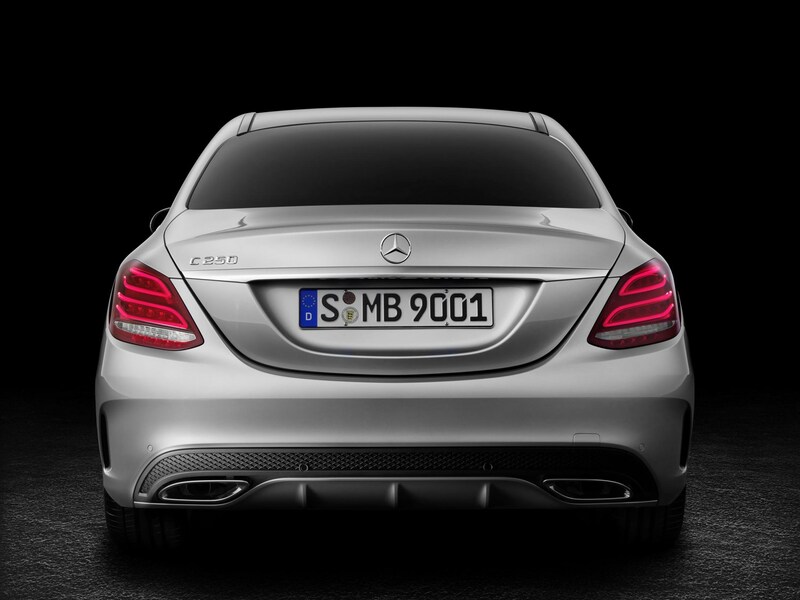 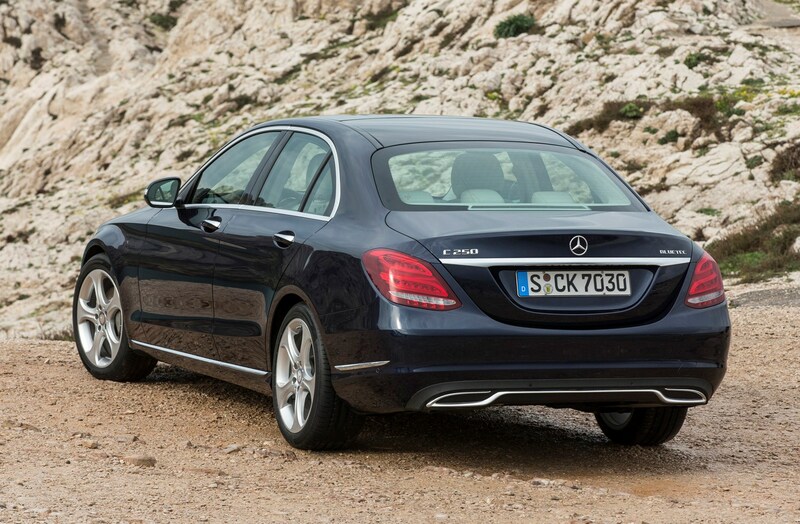 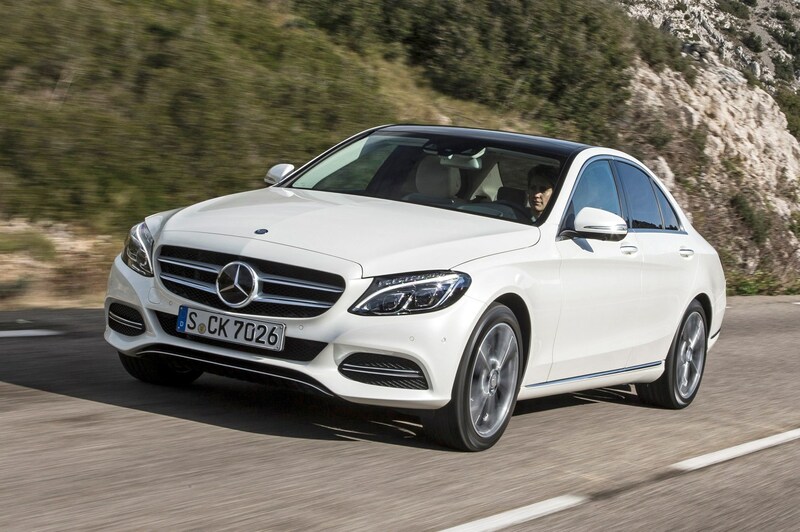 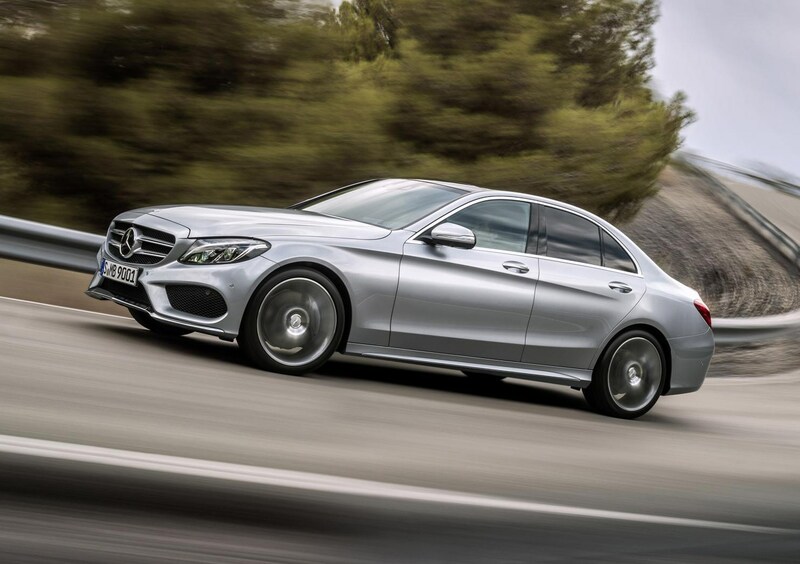 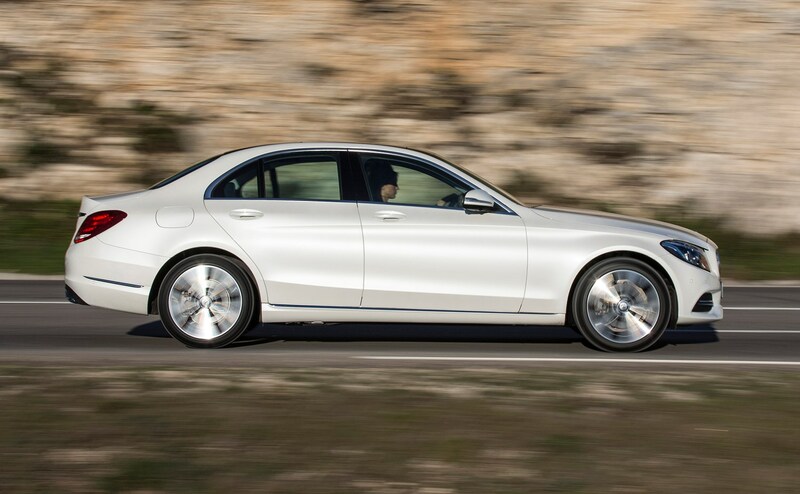 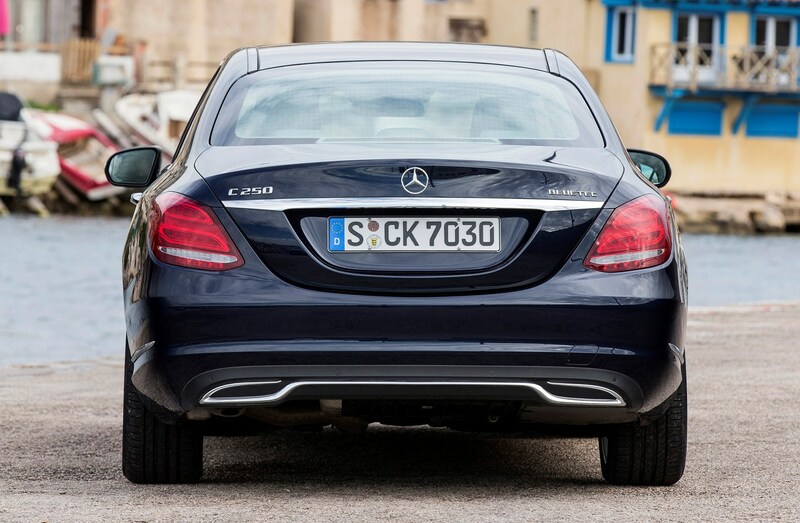 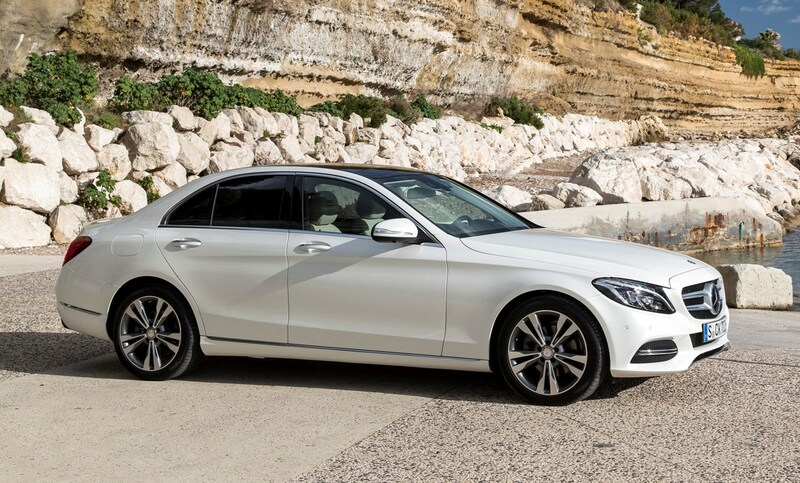 The Mercedes-Benz C-Class deserves its popularity. 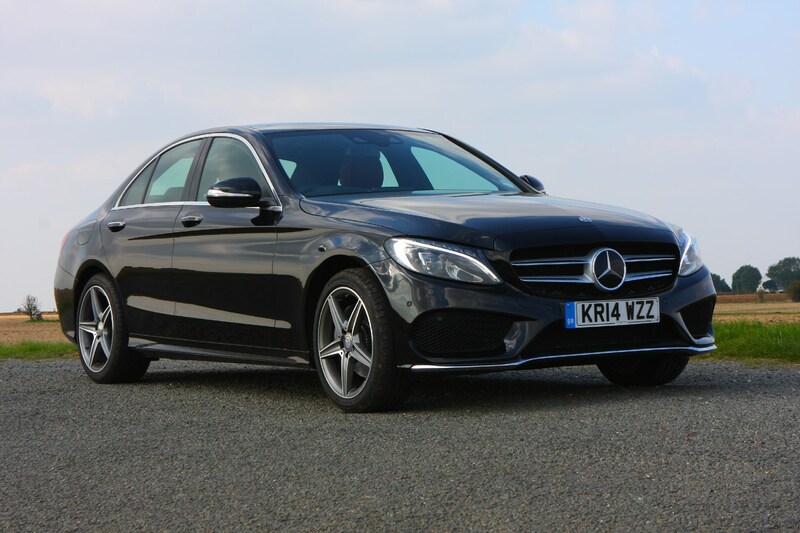 It's a clear case of being fit-for-purpose, with a wide range of engines, power outputs, model variations, and optional extras. 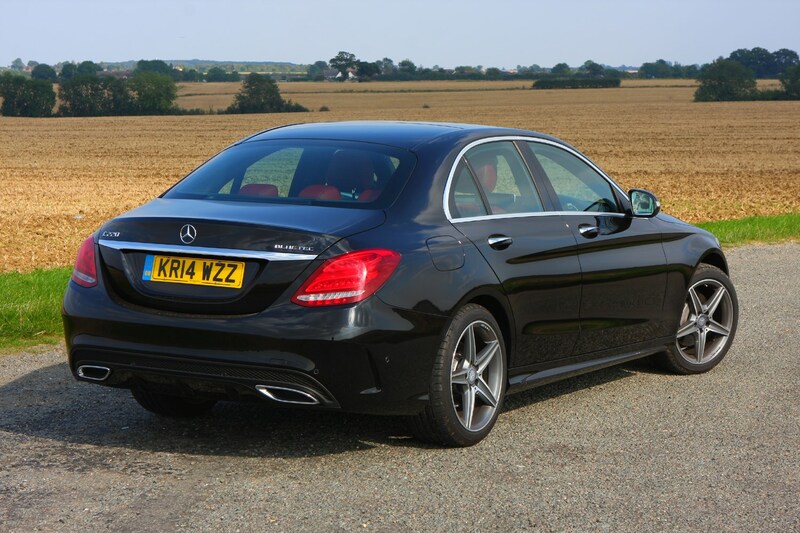 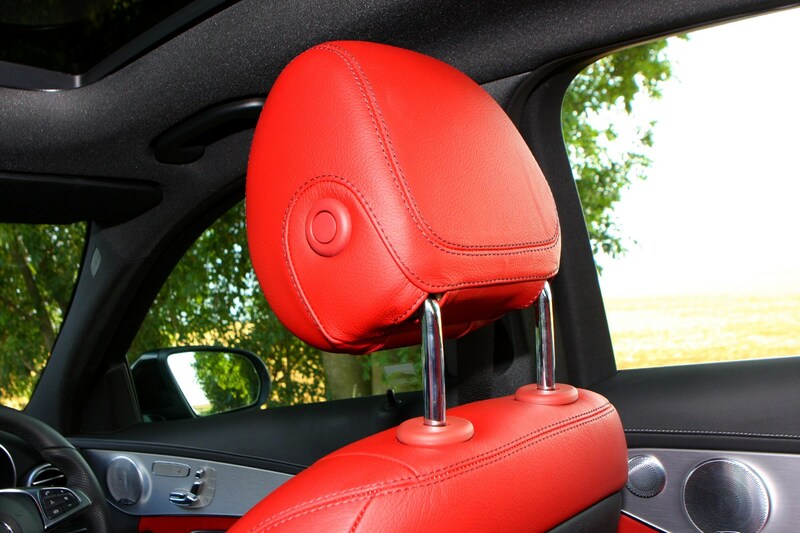 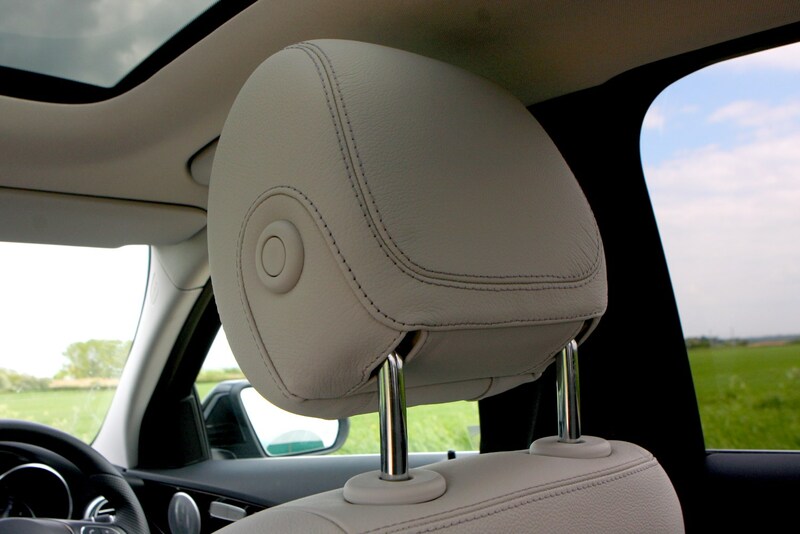 It’s the best choice in this market sector if you’re looking for a relaxing drive instead of an engaging one. 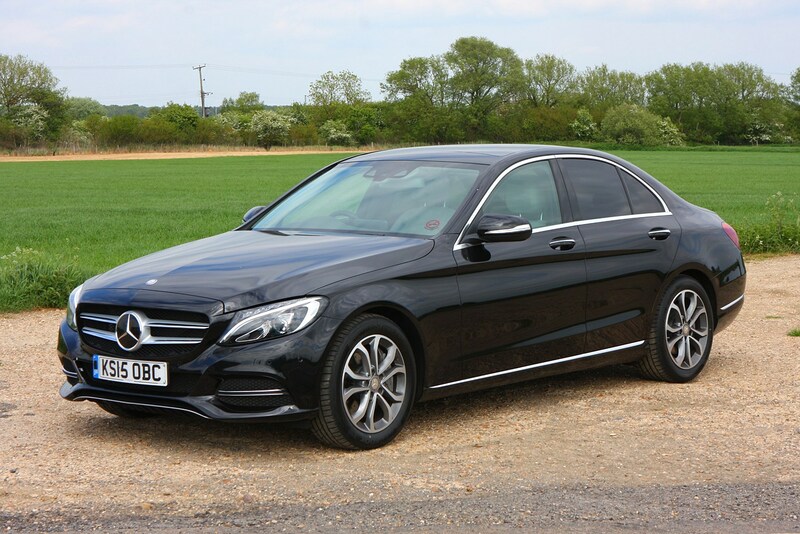 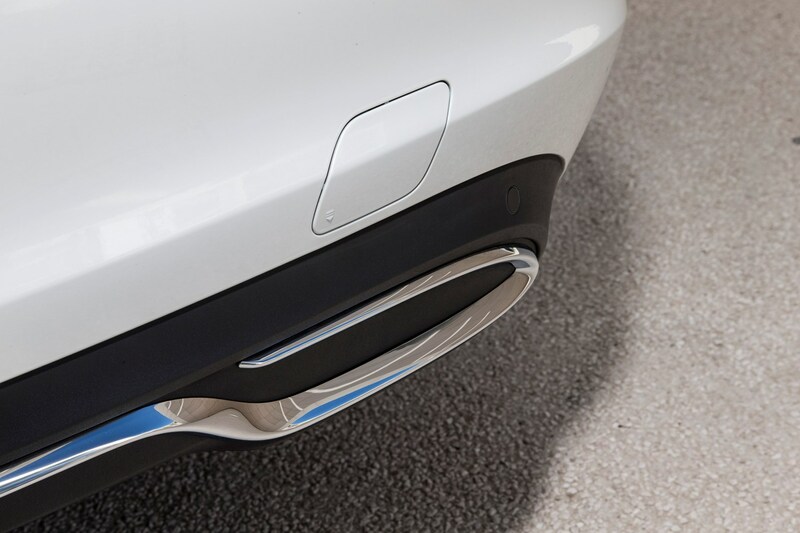 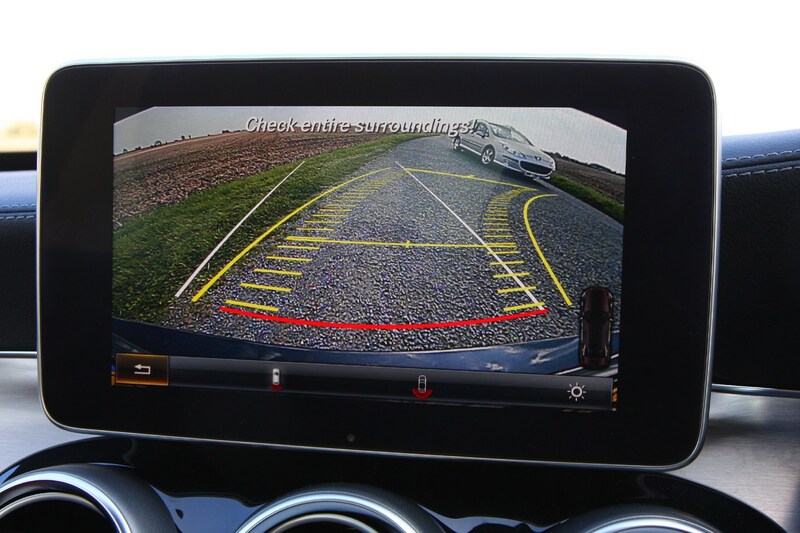 As standard you can expect a reversing camera, rain-sensing wipers, alloy wheels, cruise control, heated windscreen washer jets, a tyre pressure monitoring system and plenty of safety kit. 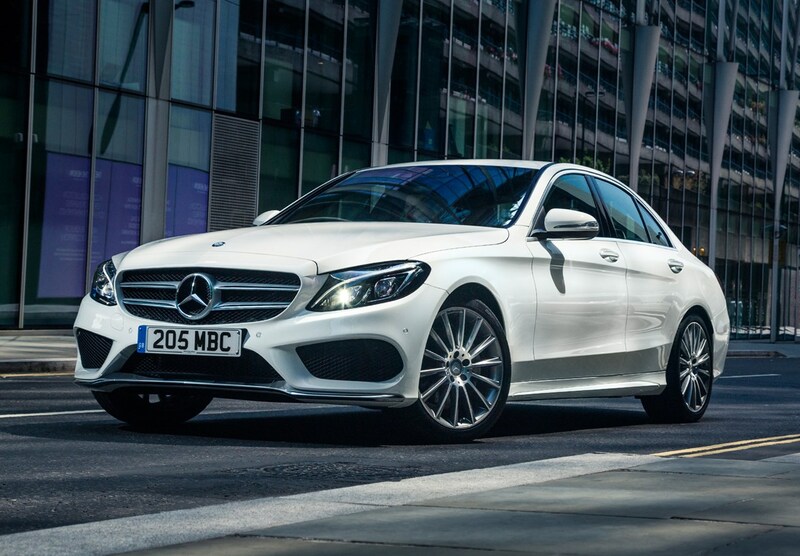 Much of the tech you’ll find on the C-Class was introduced on the S-Class, and has filtered down the range rapidly to meet buyer’s demands. 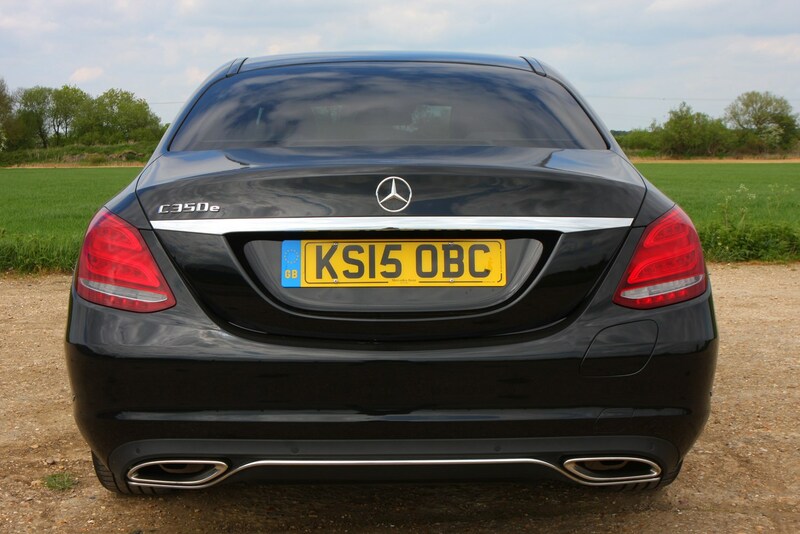 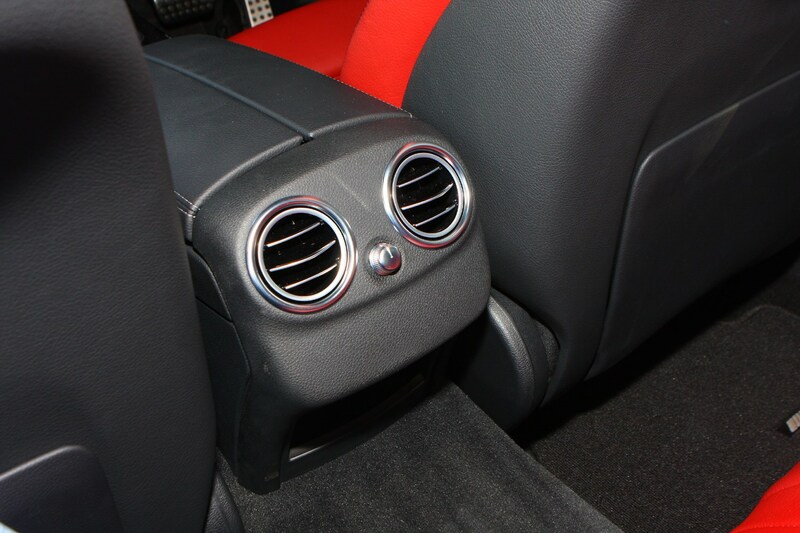 It's available with some very low CO2 figures, and is tailored beautifully for business users. 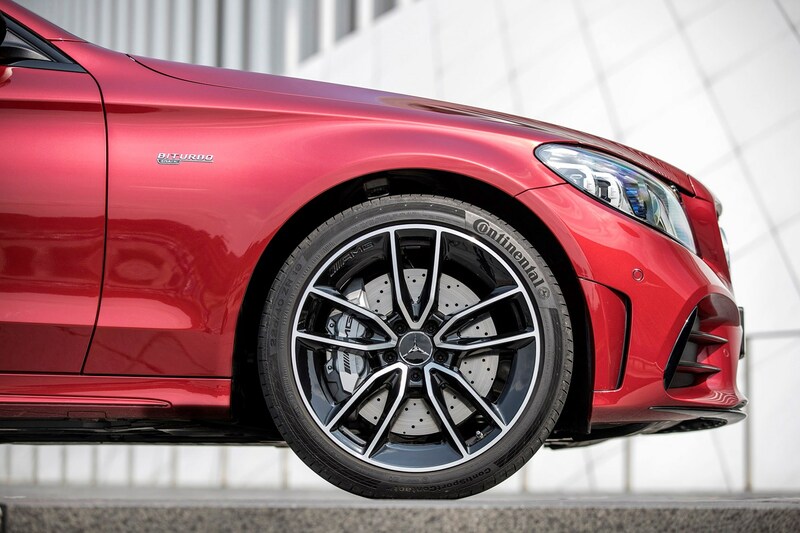 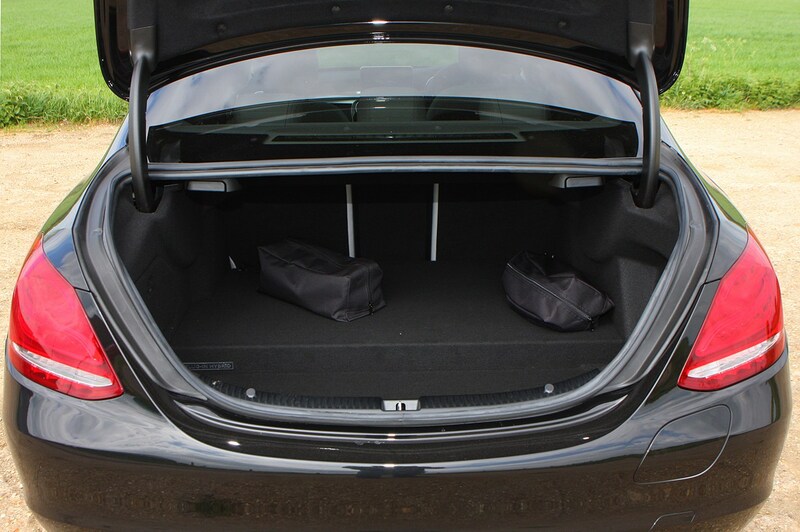 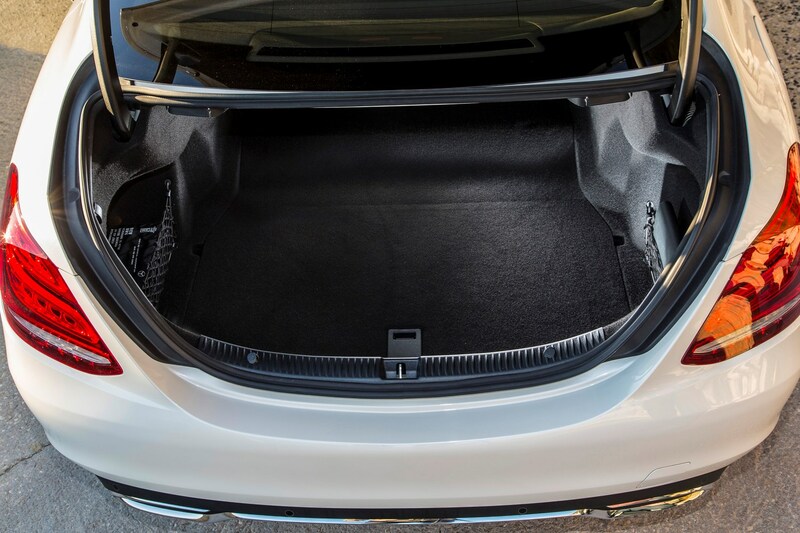 It's not the sharpest driver's car out there, and it really needs its brilliant Airmatic suspension system to be standard, but it’s a car that’s at or near the top of its class, depending on your priorities.